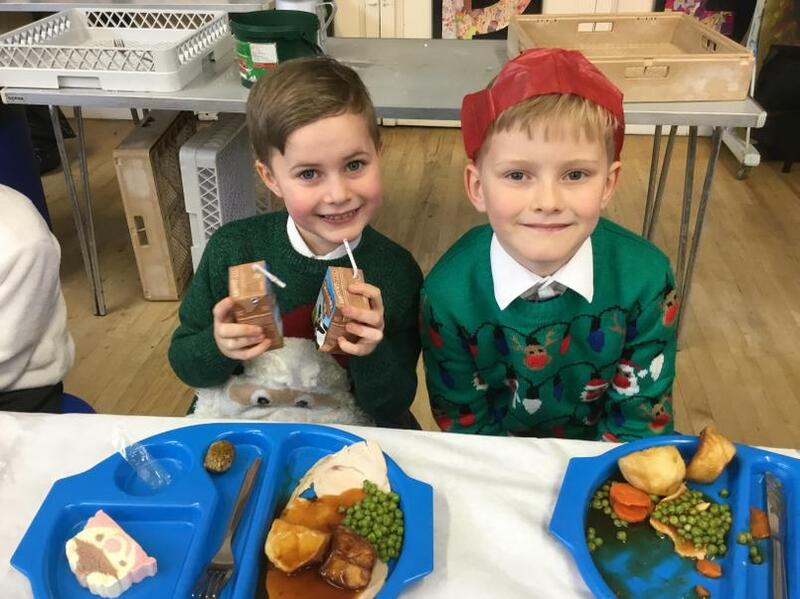 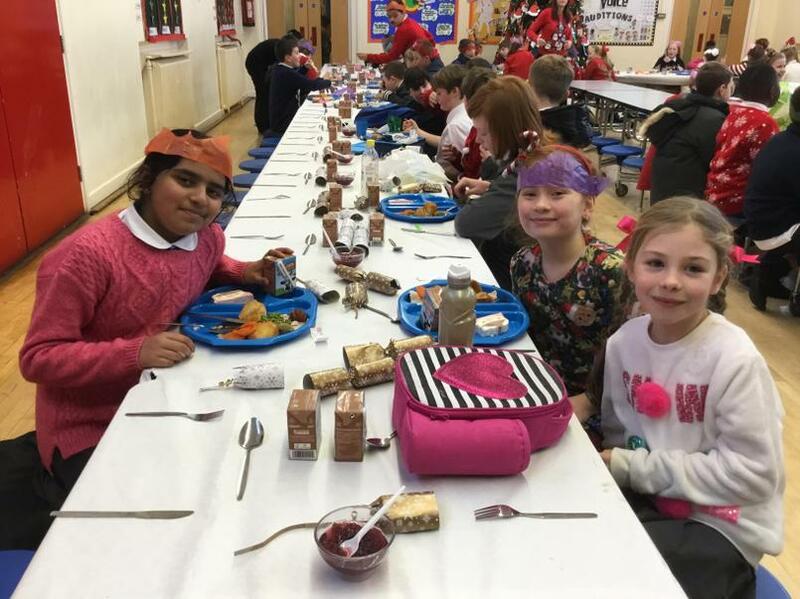 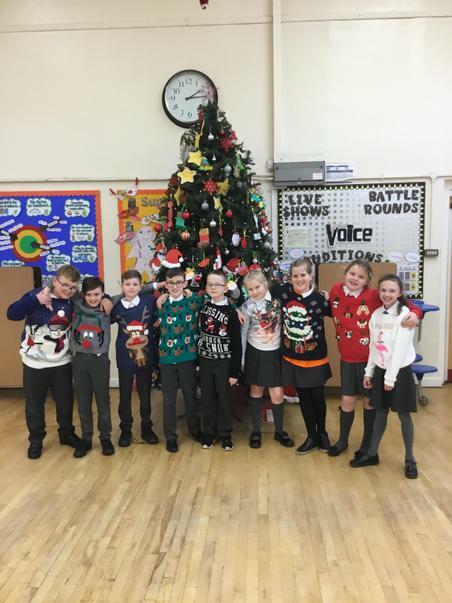 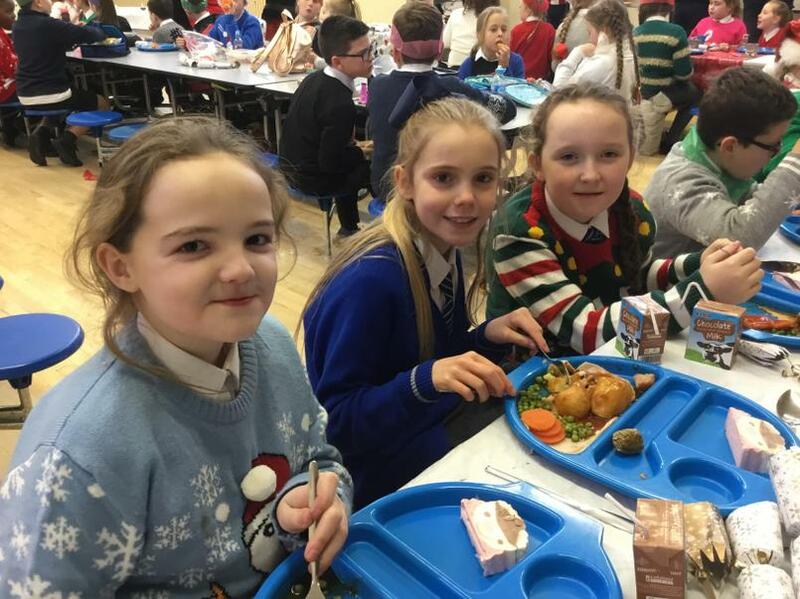 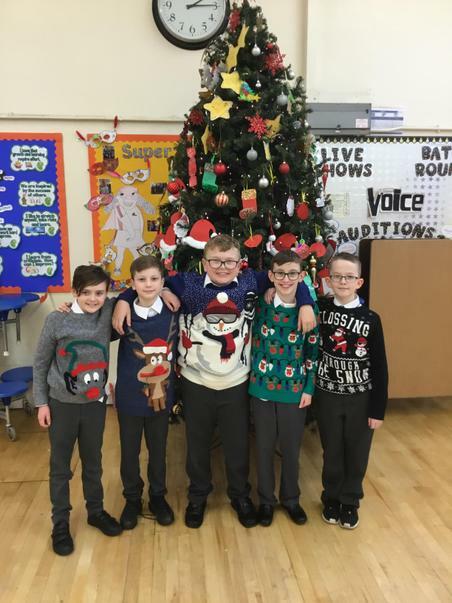 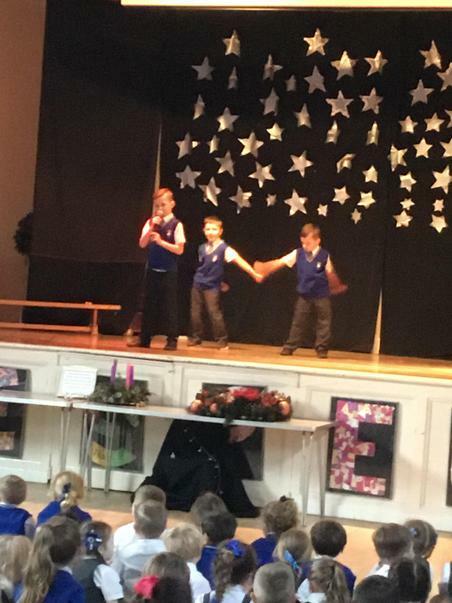 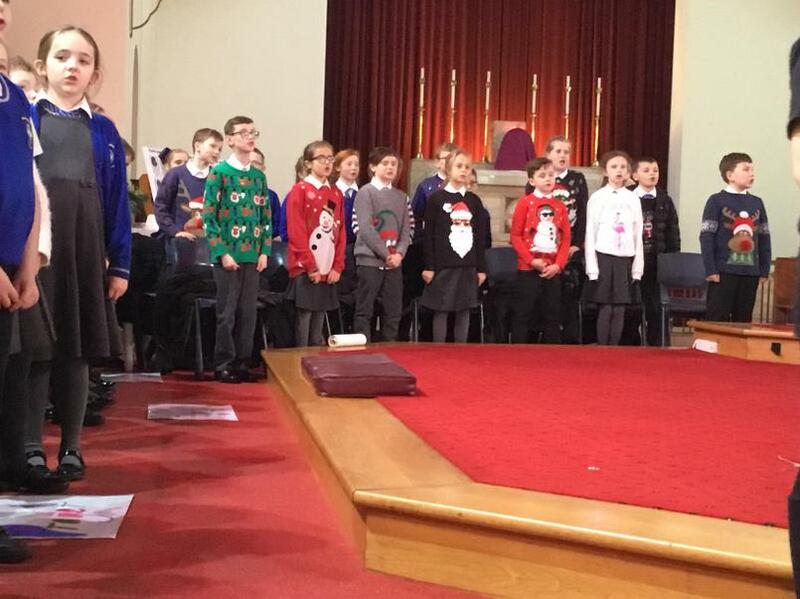 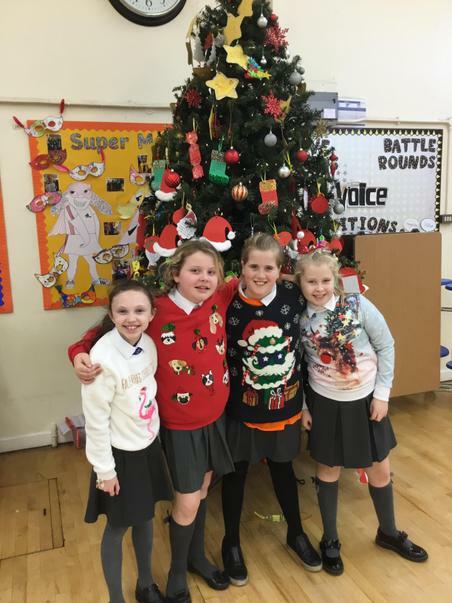 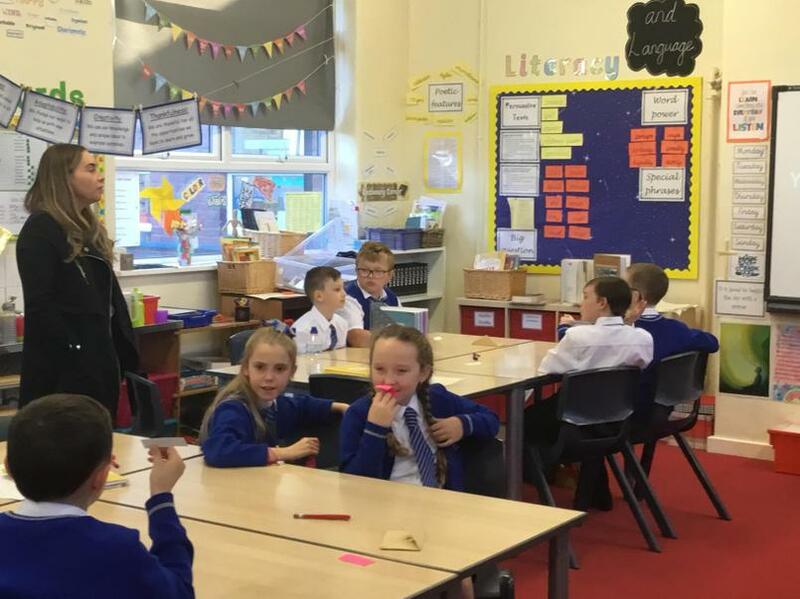 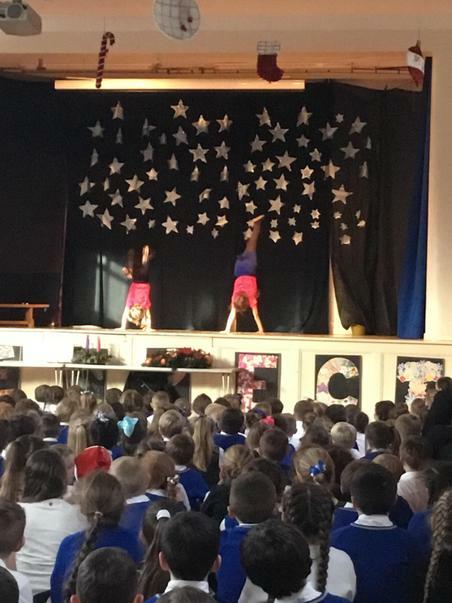 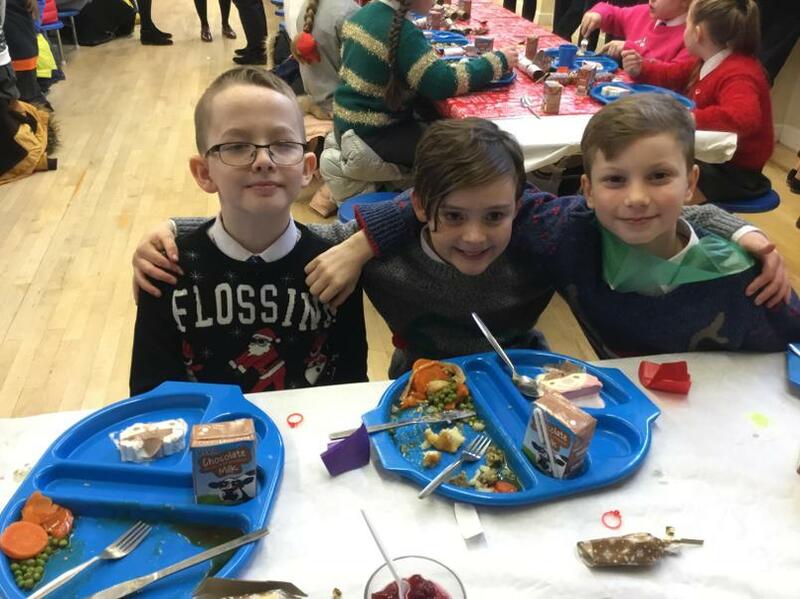 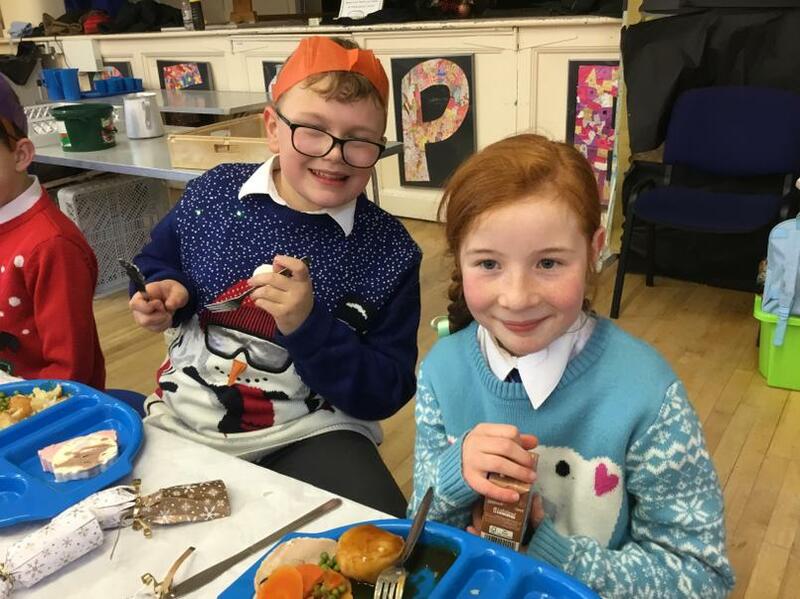 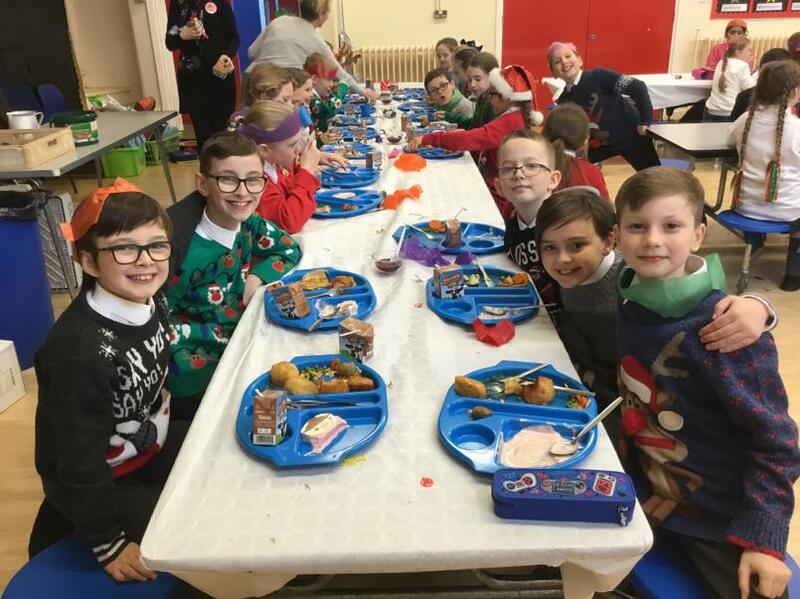 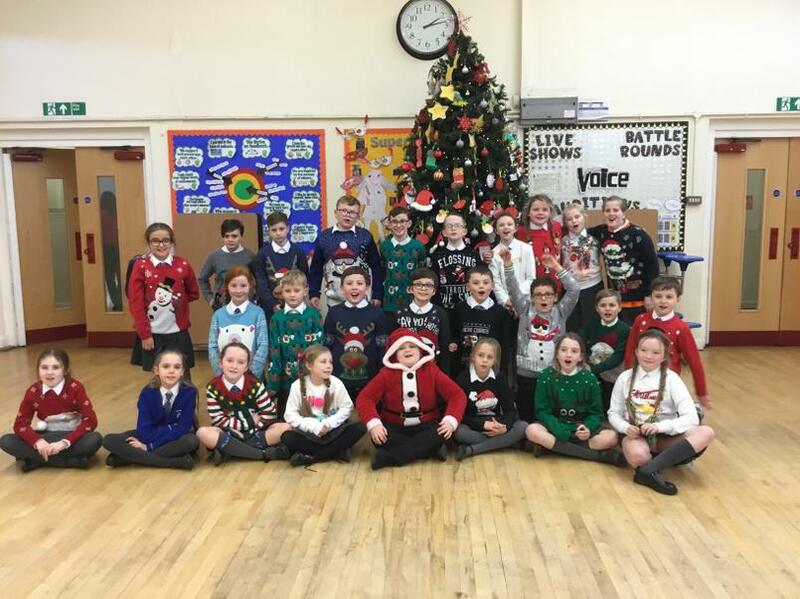 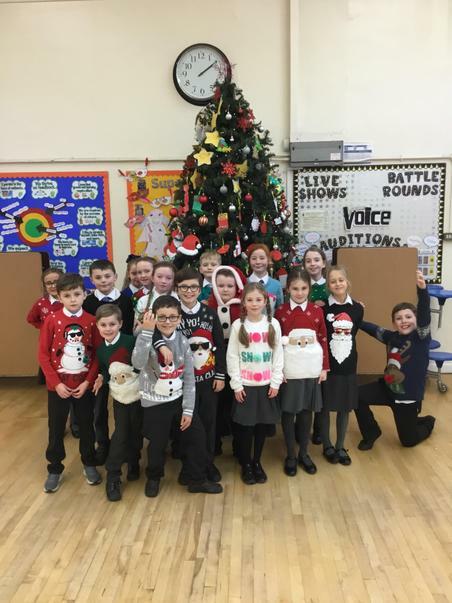 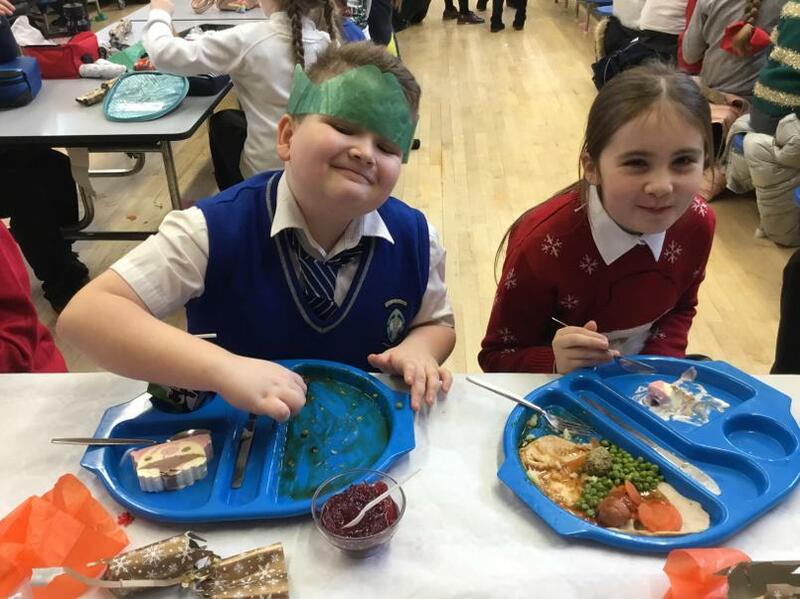 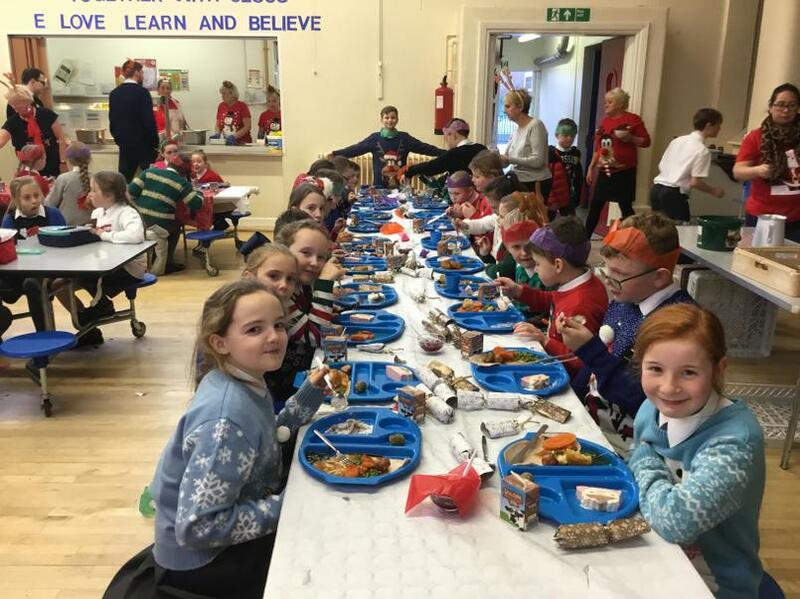 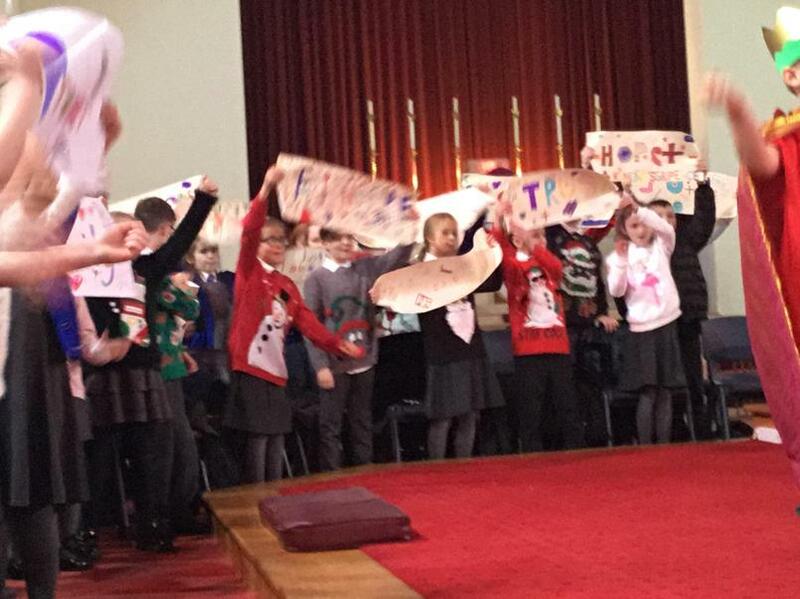 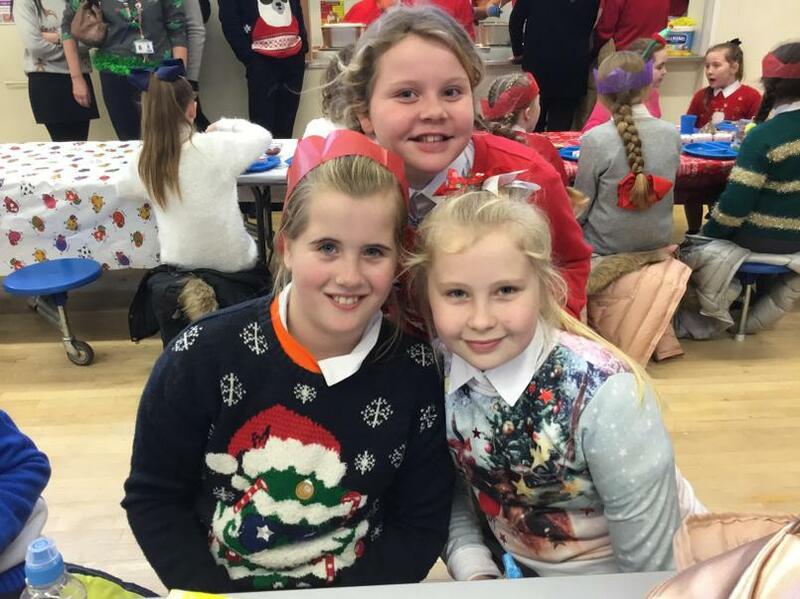 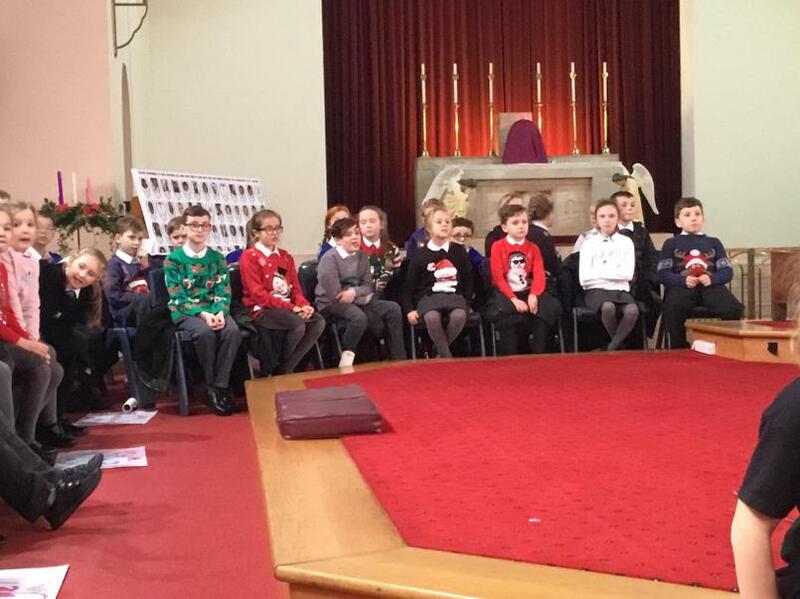 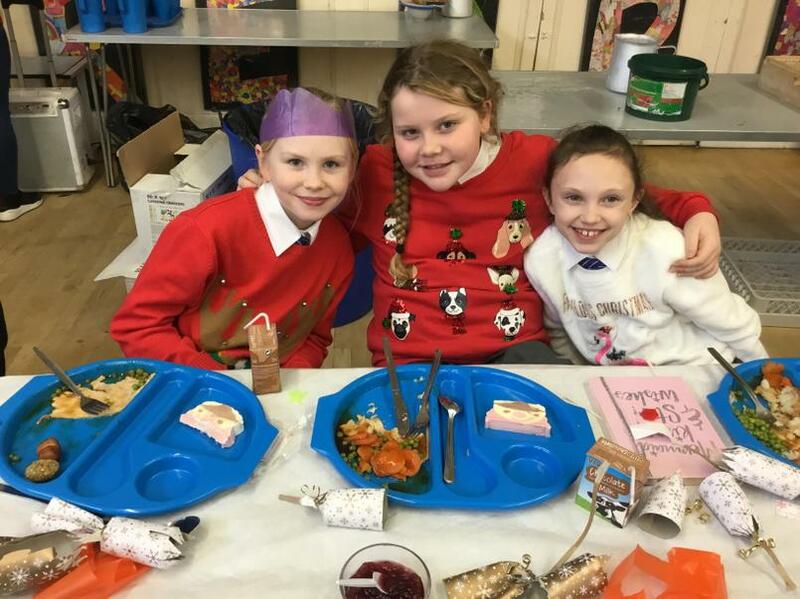 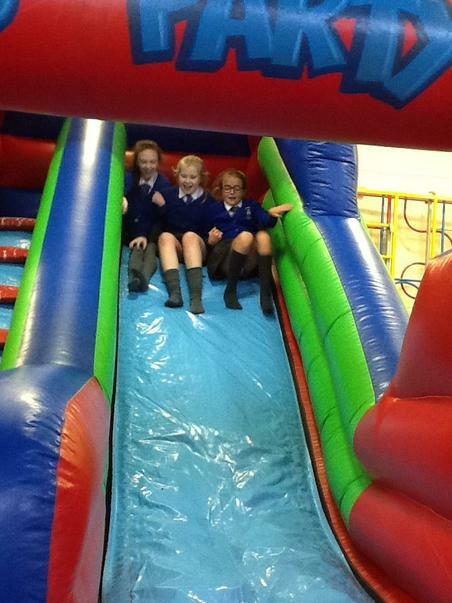 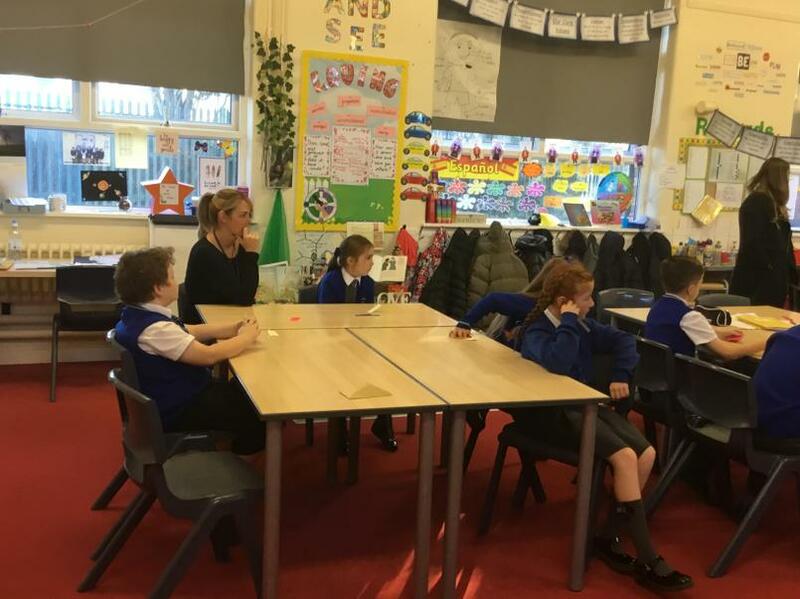 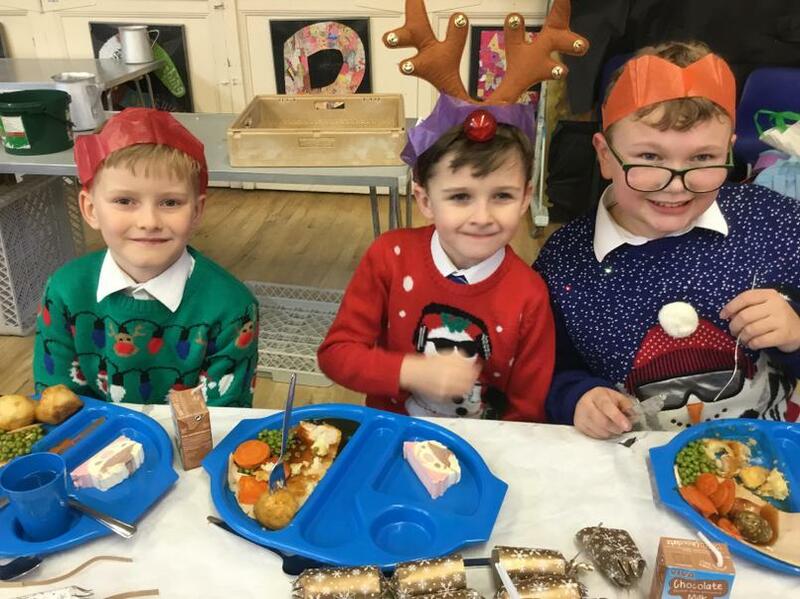 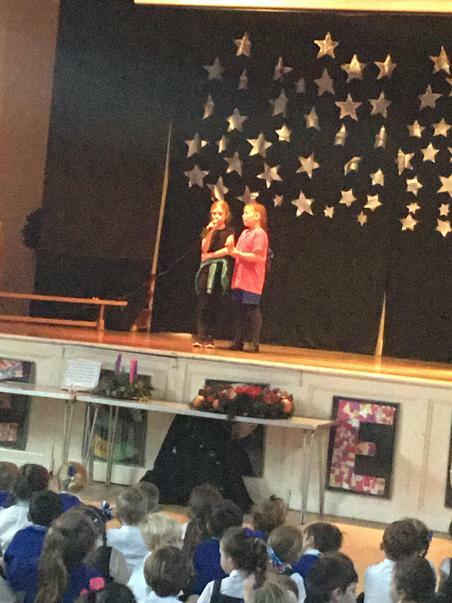 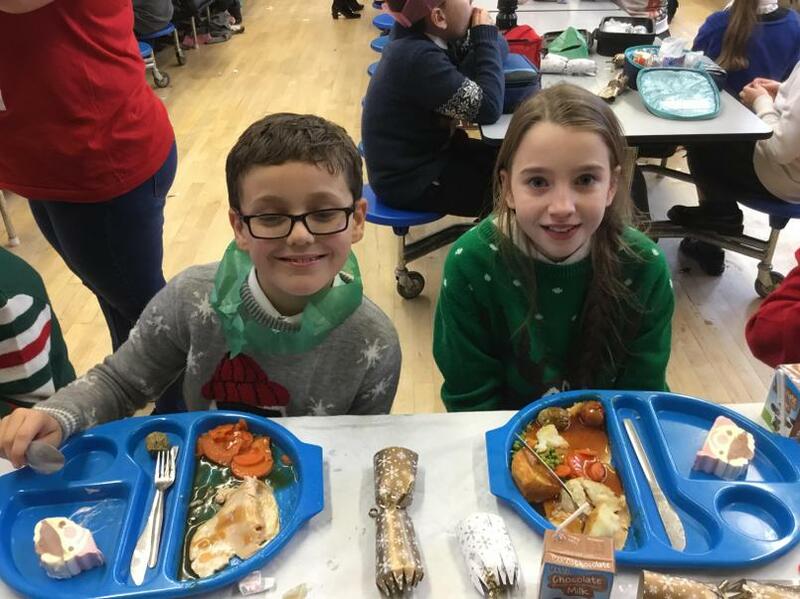 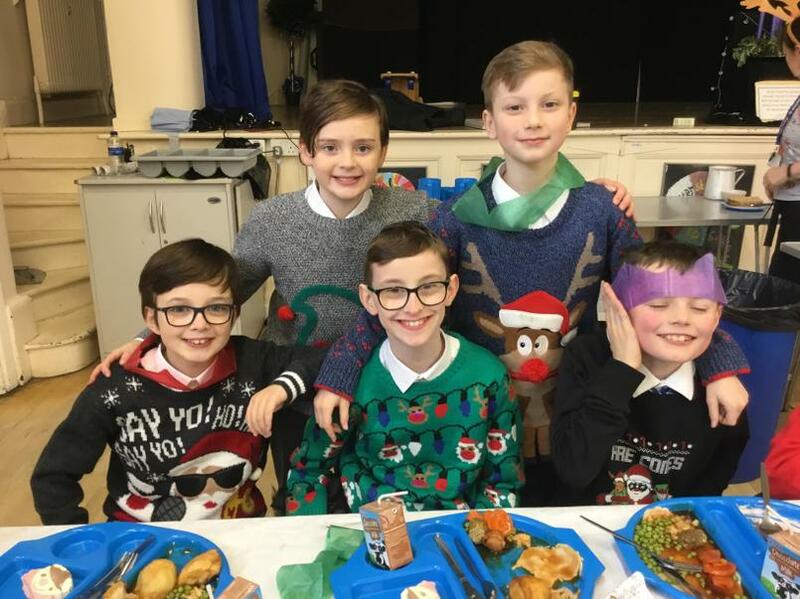 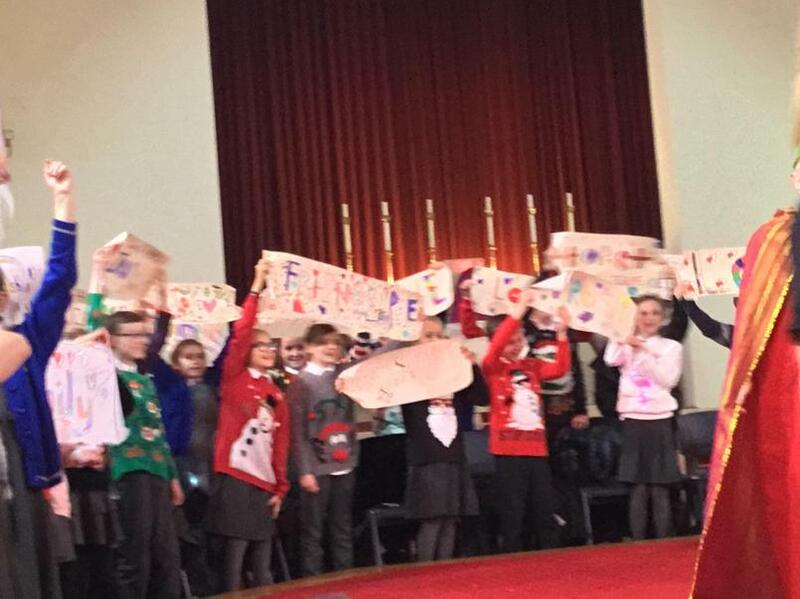 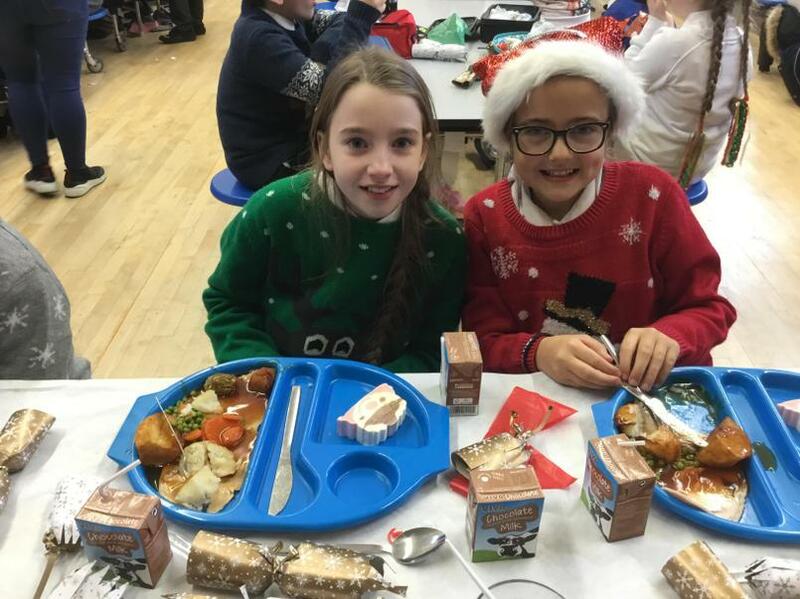 The children had a lovely time celebrating and joining in Christmas activities, including the Christmas Fayre, the Carol Concert, Christmas Lunch wearing their Christmas Jumpers and Talent show. 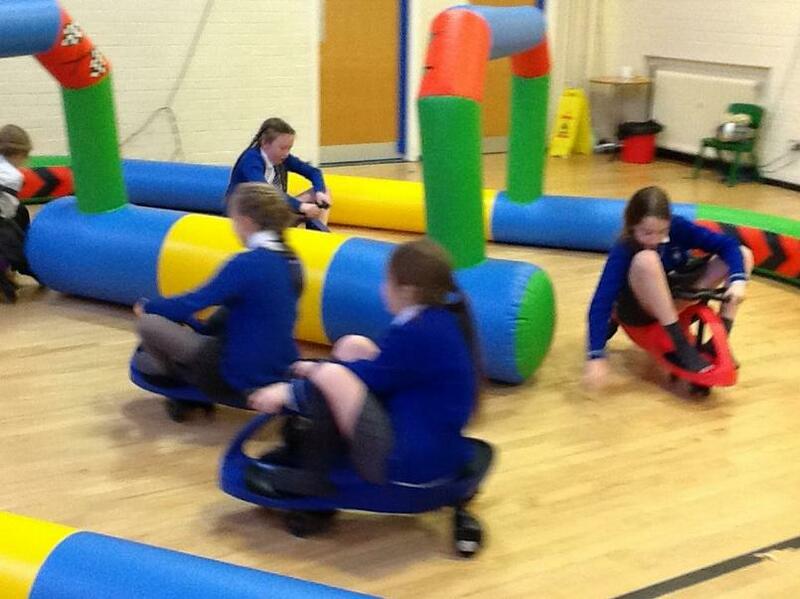 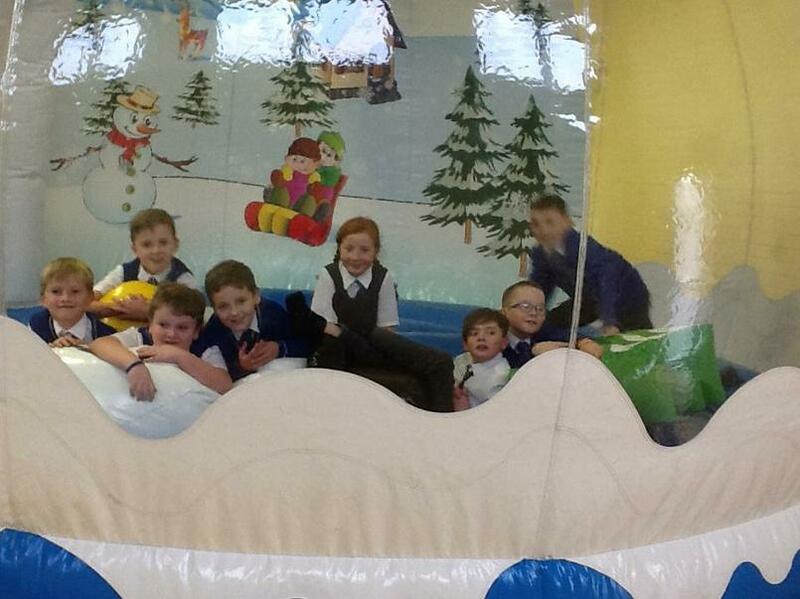 They also enjoyed a party with Rock Kidz. 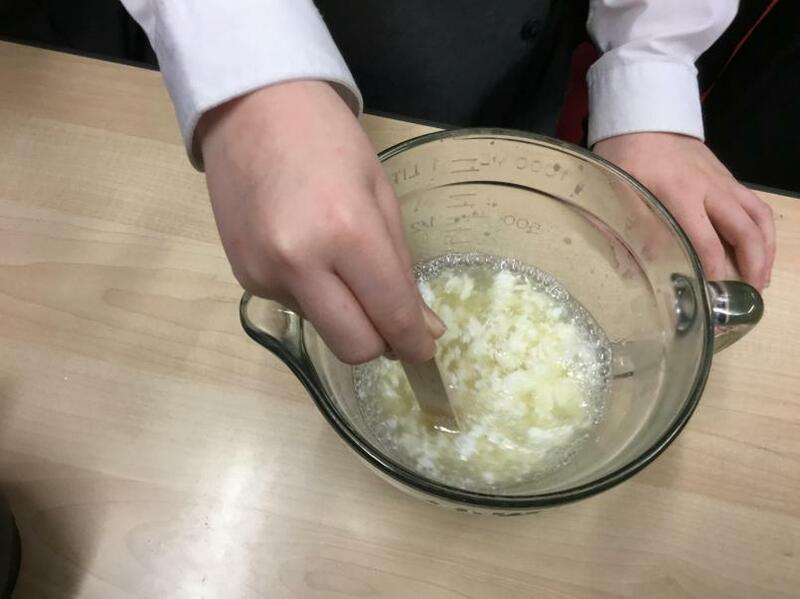 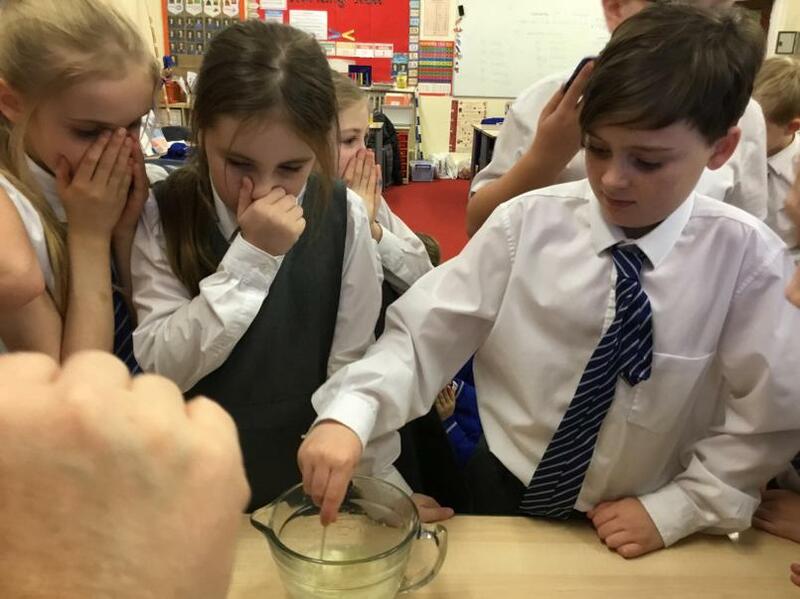 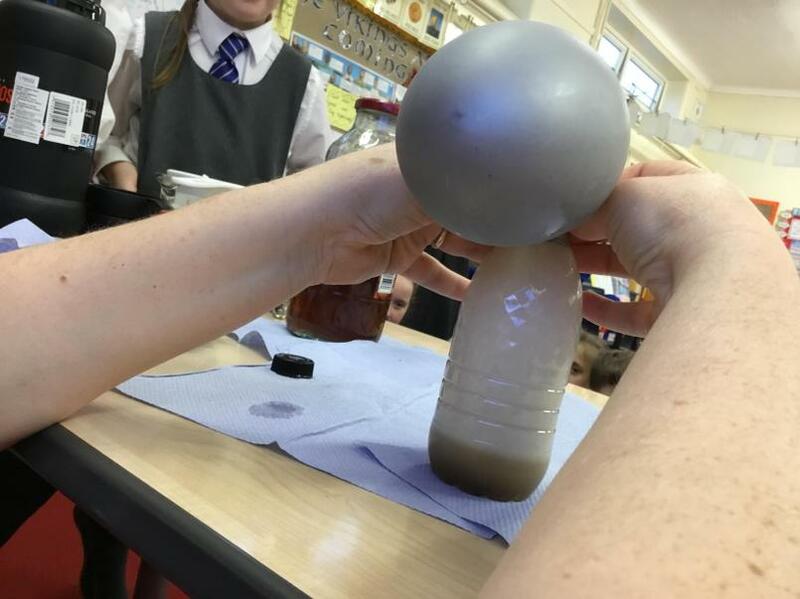 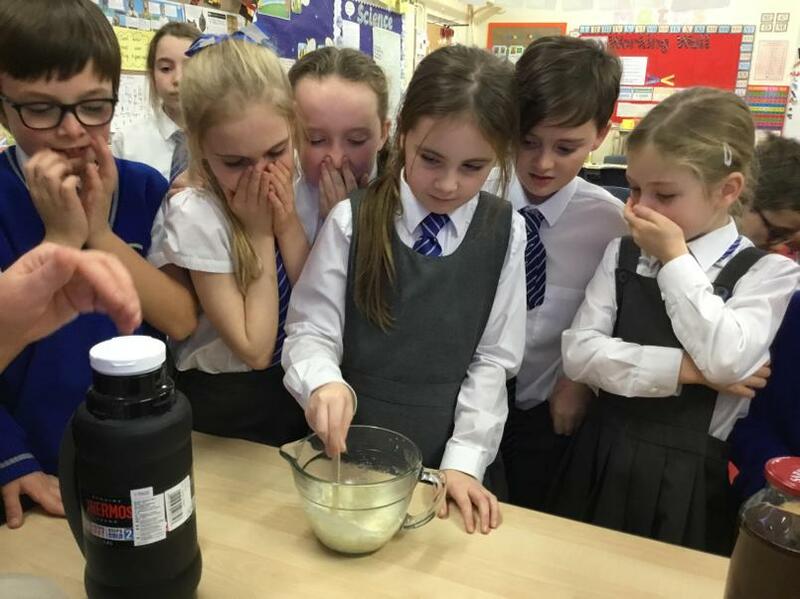 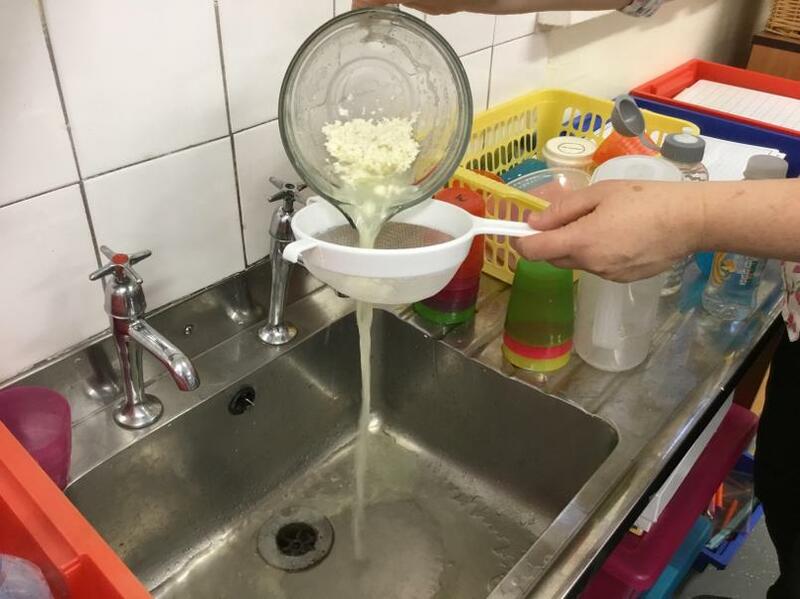 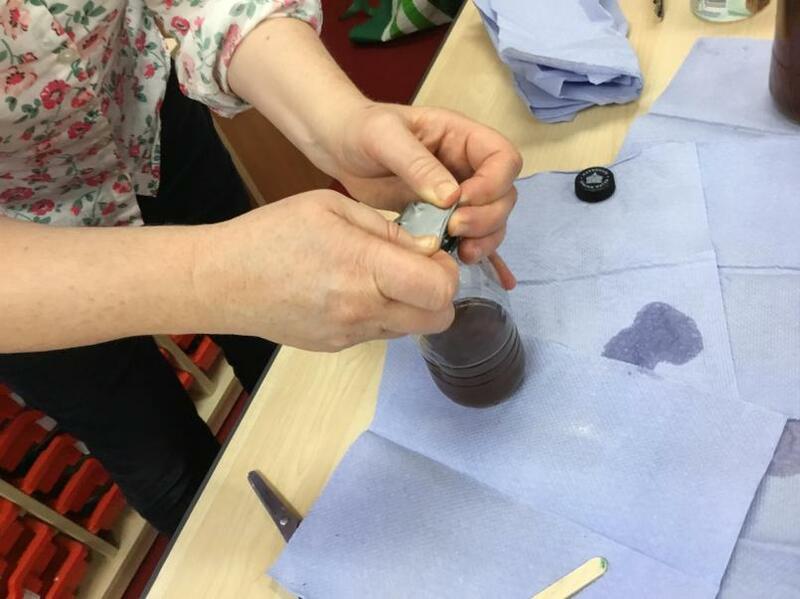 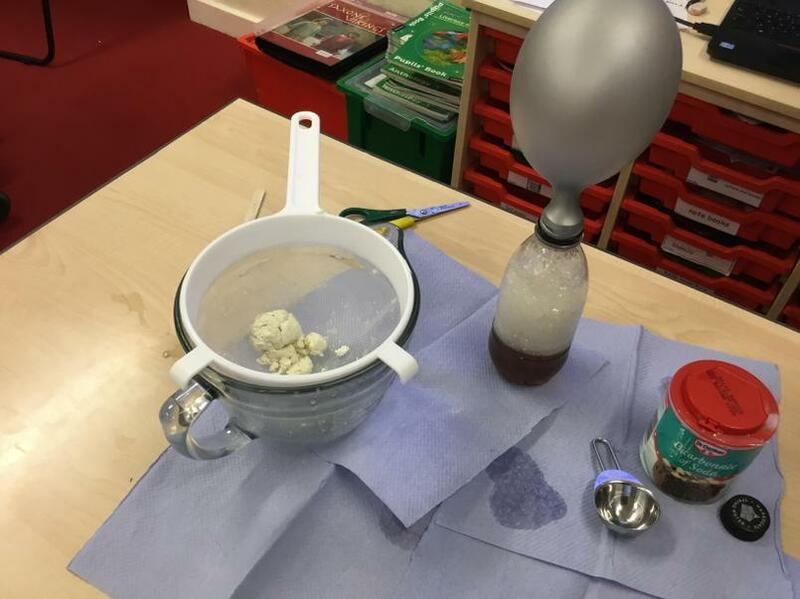 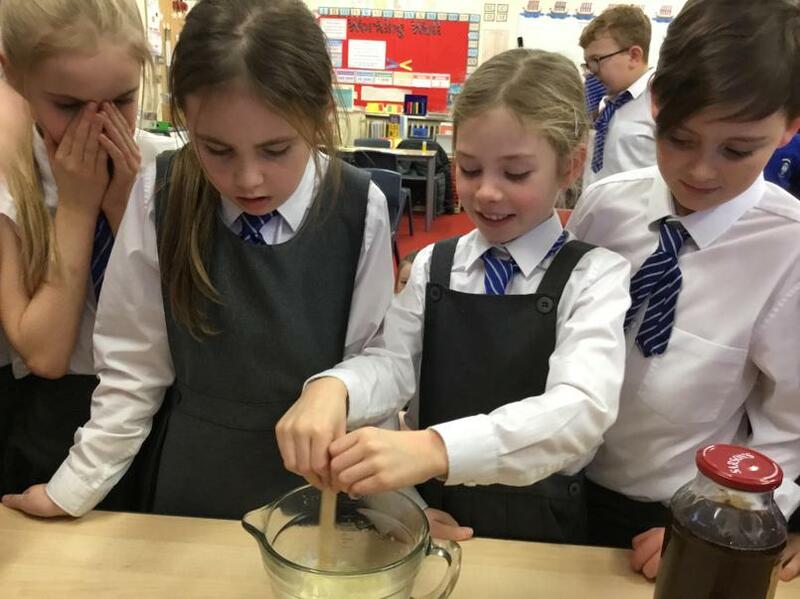 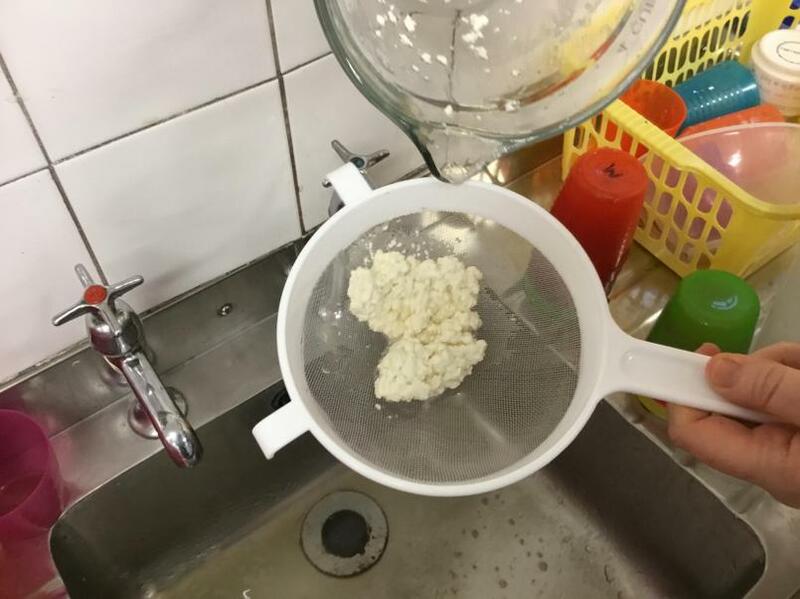 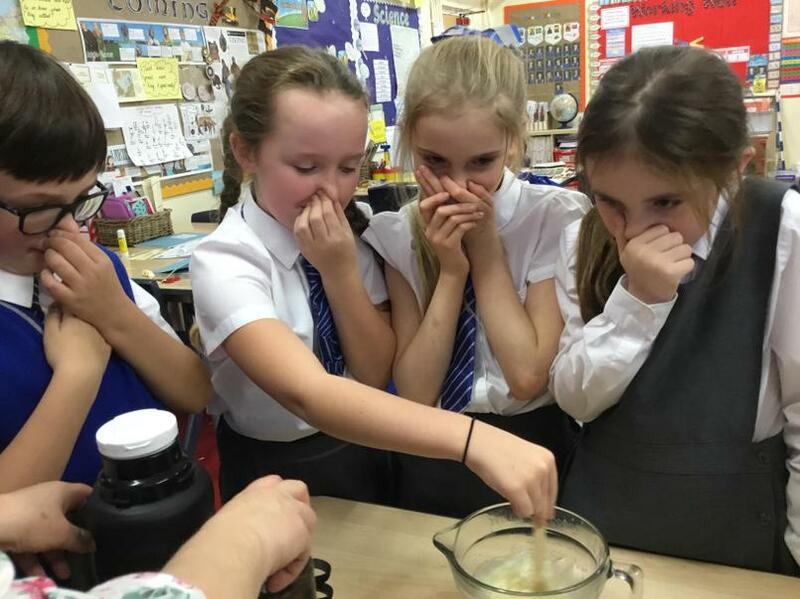 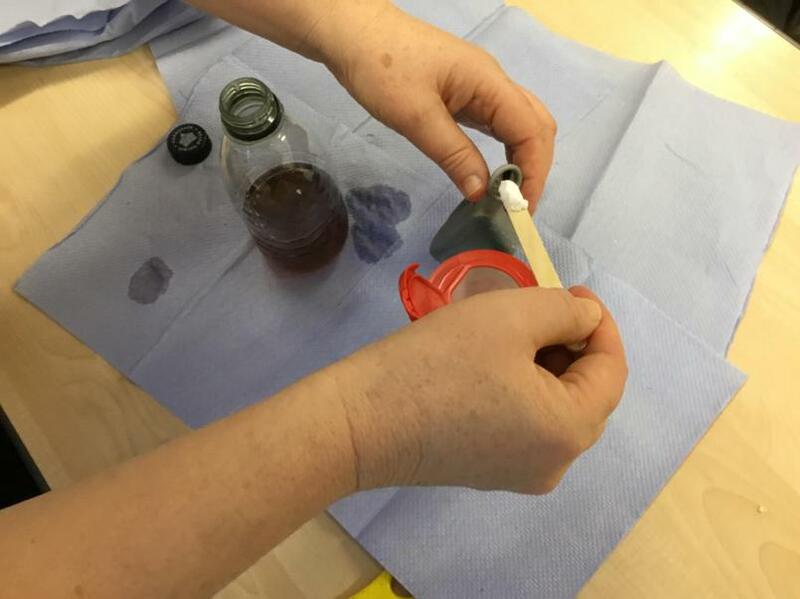 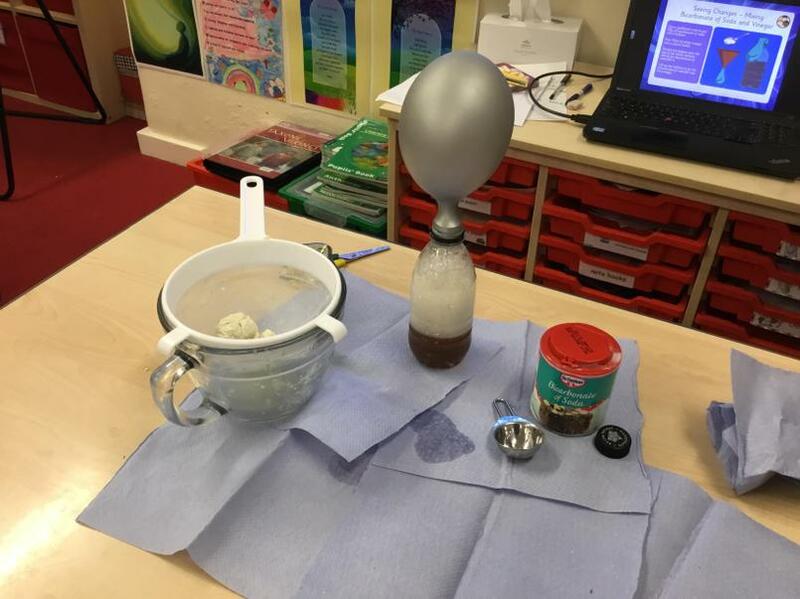 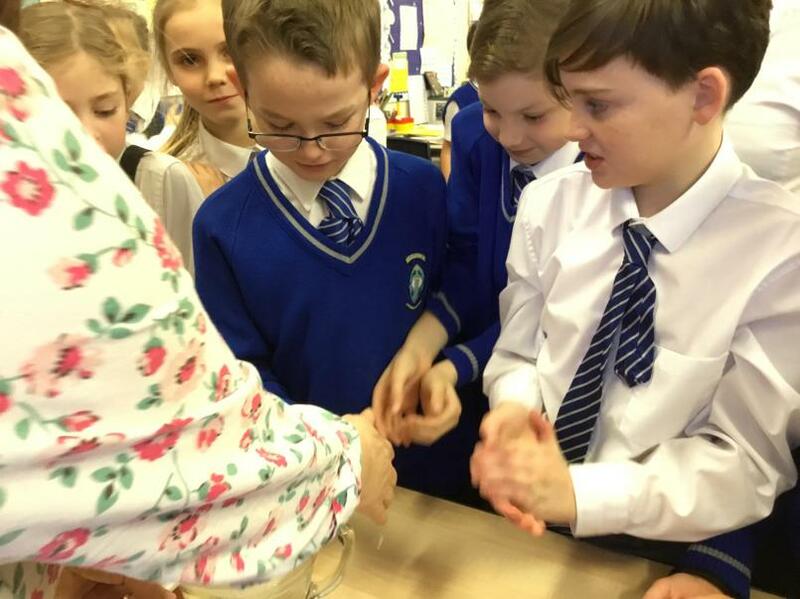 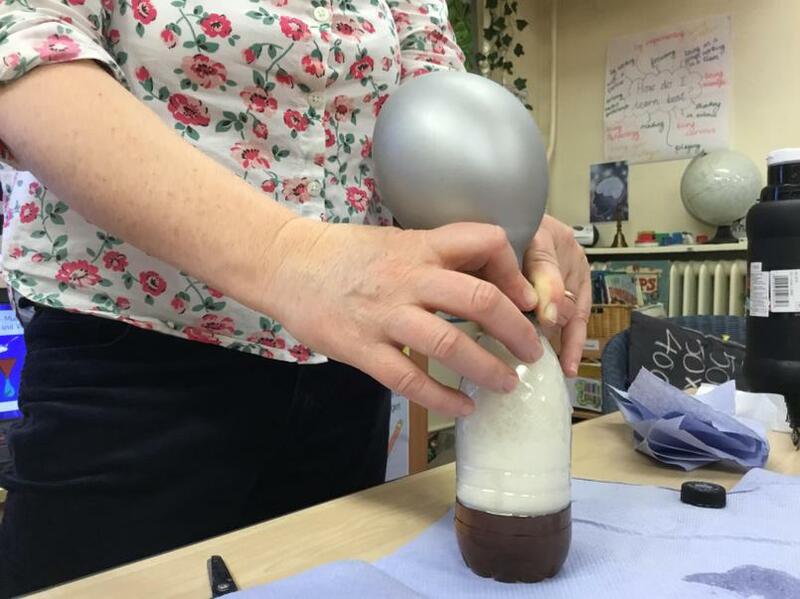 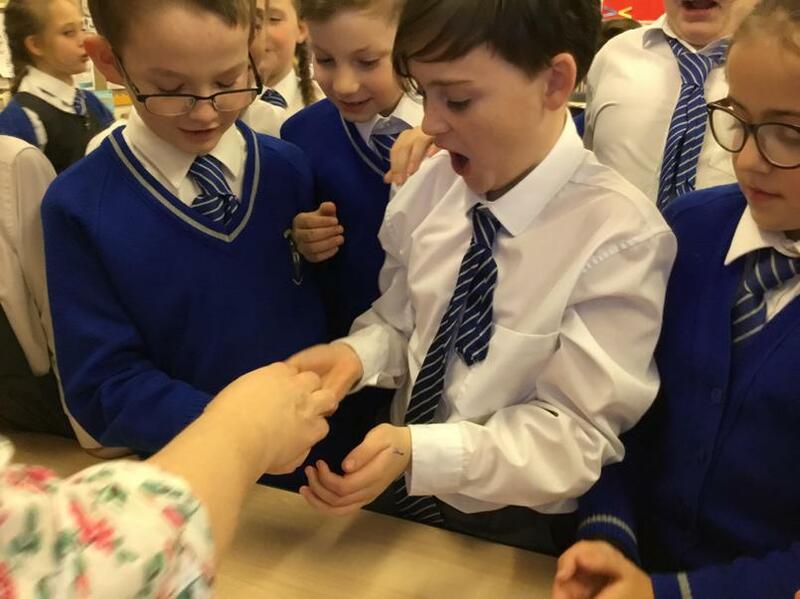 The children observed two experiments with materials that involved chemical reactions that created new materials.When you mix warm milk with vinegar you create a new material called casein plastic. 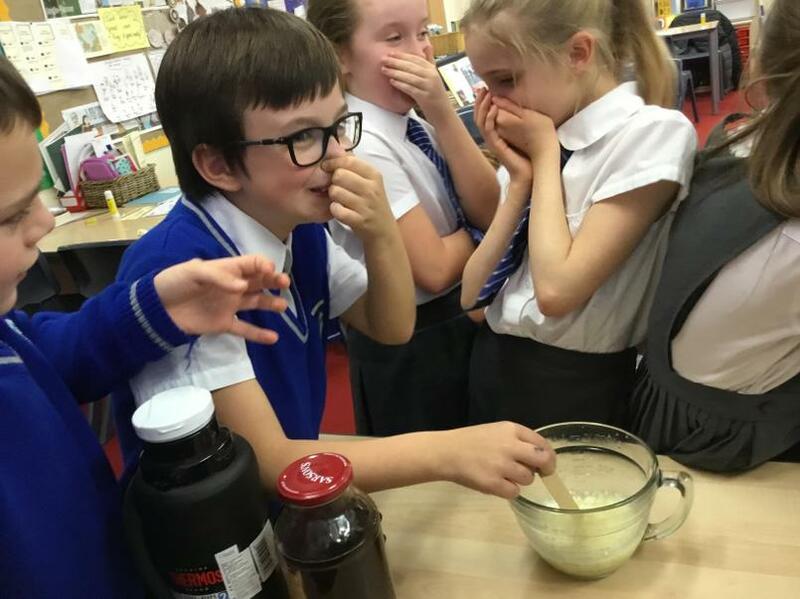 When you mix vinegar with bicarbonate of soda you create carbon dioxide. 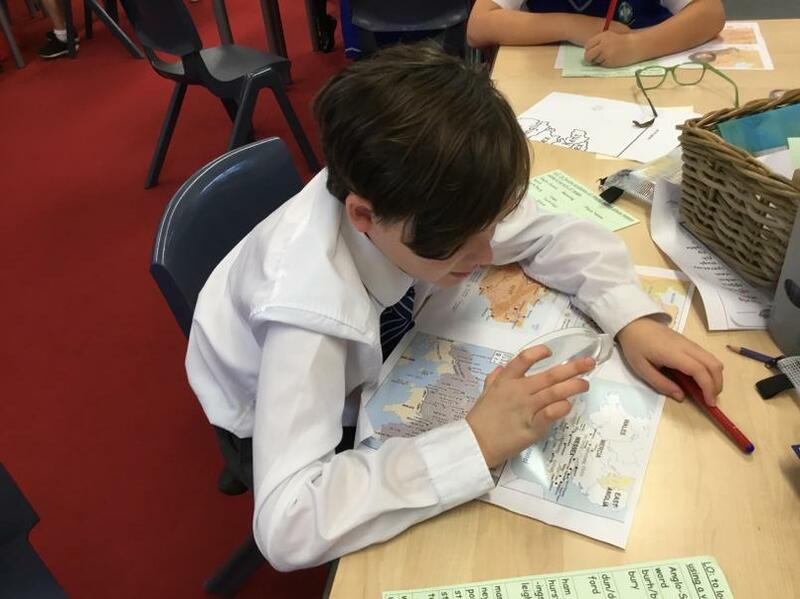 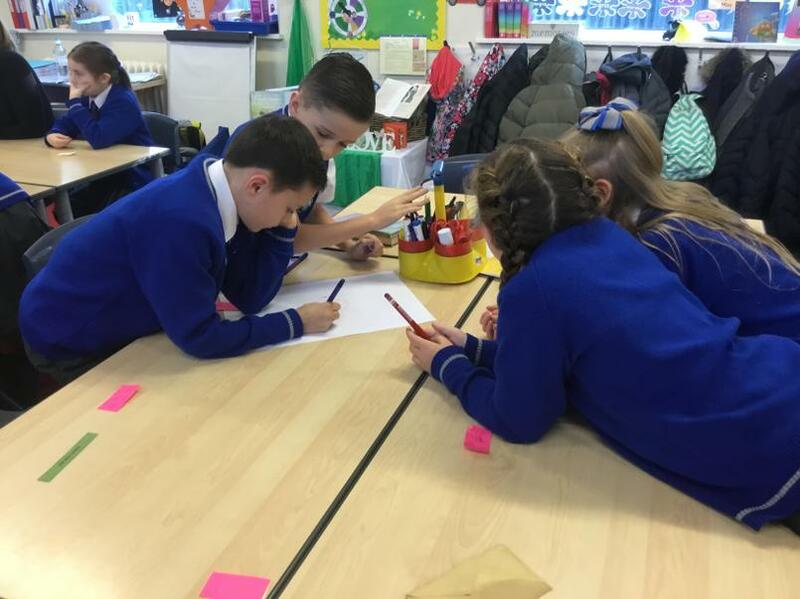 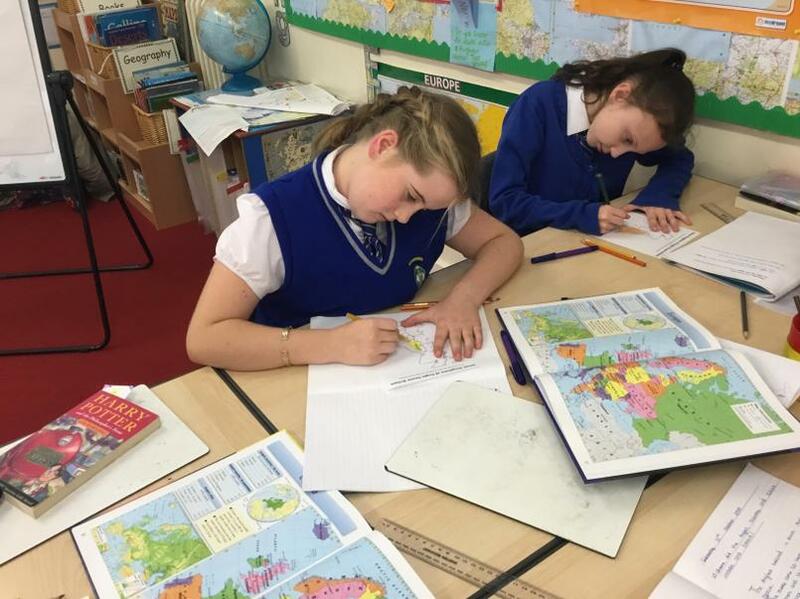 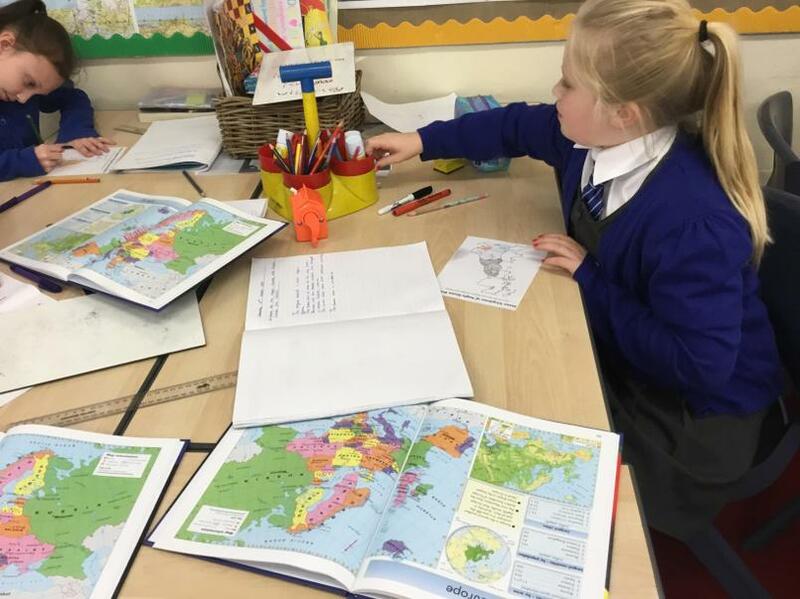 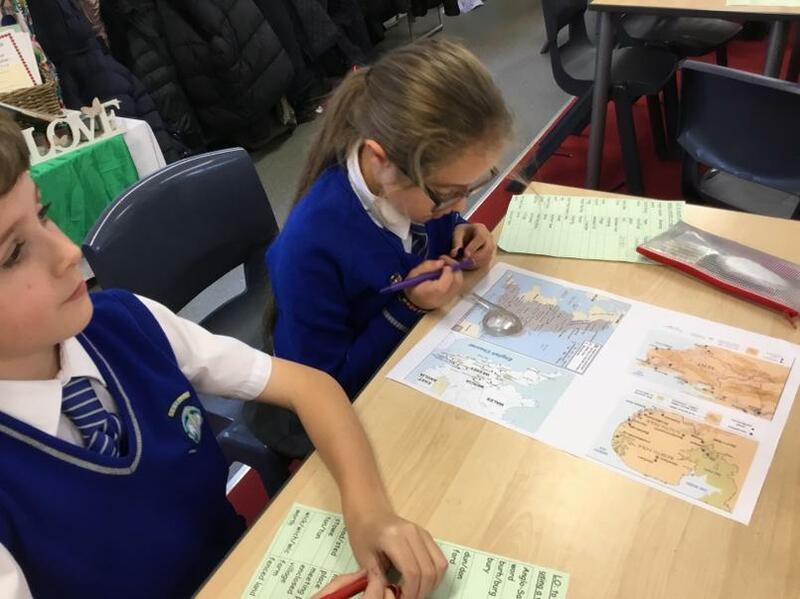 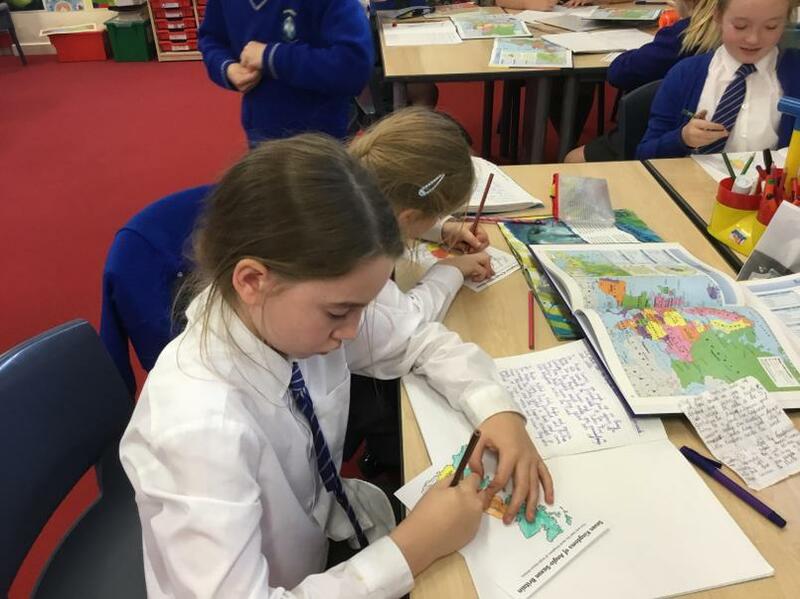 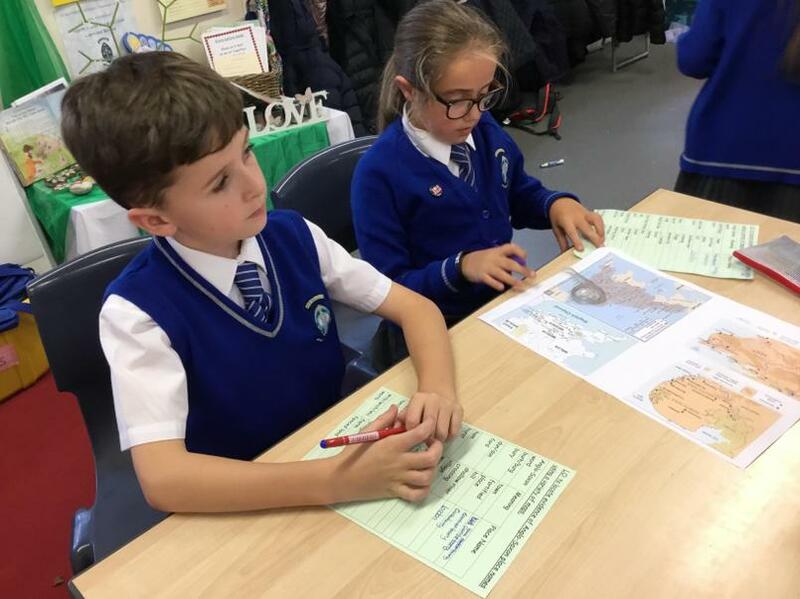 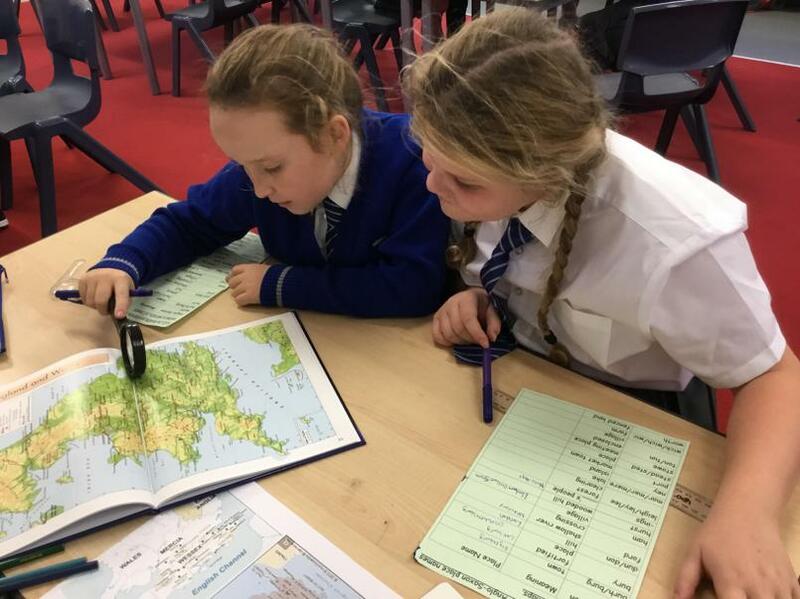 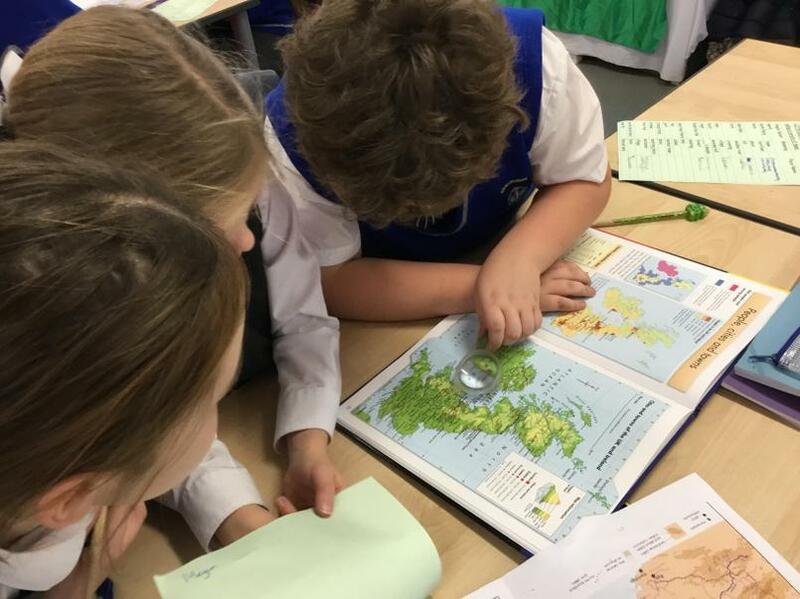 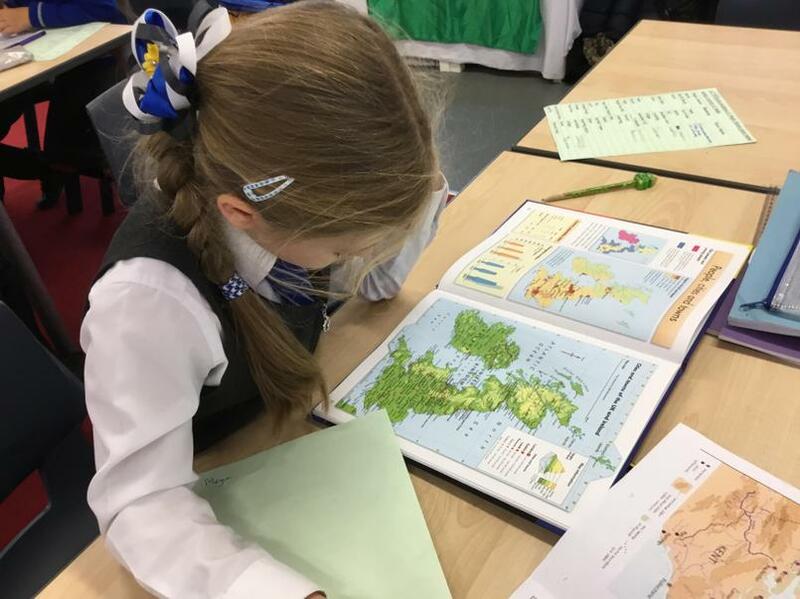 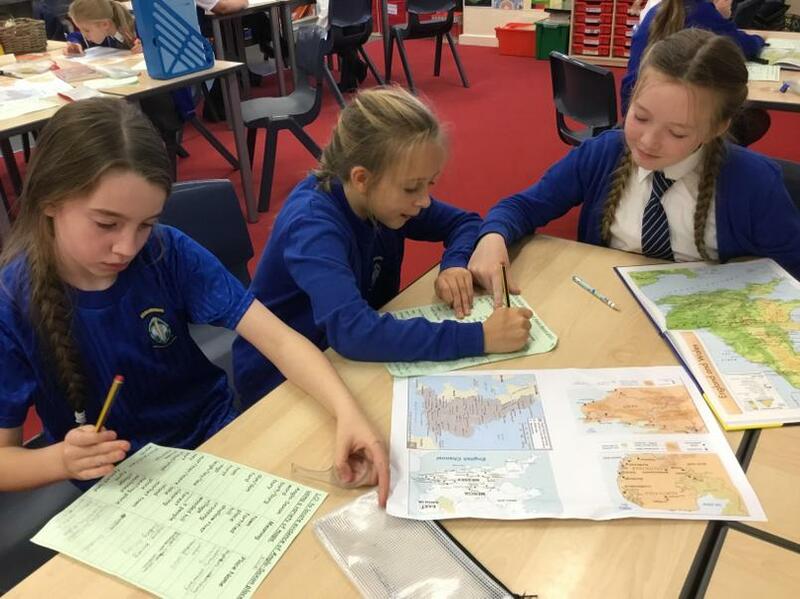 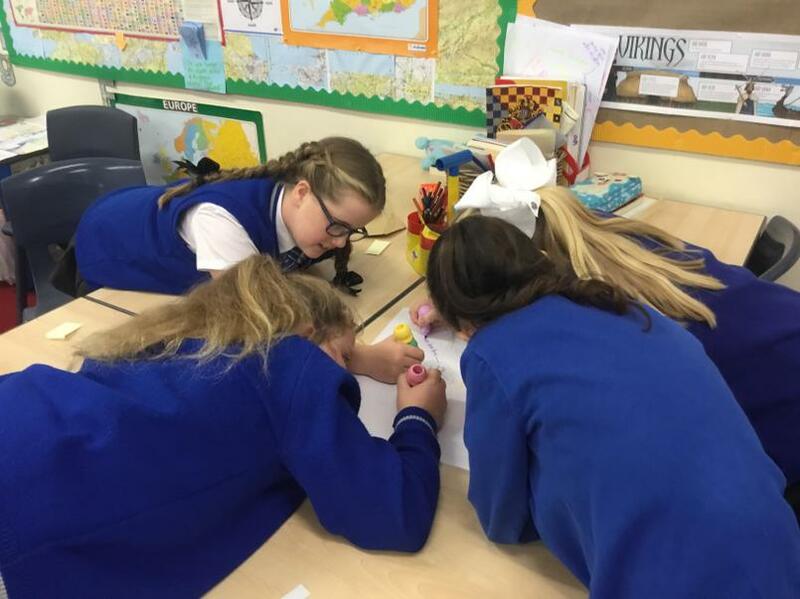 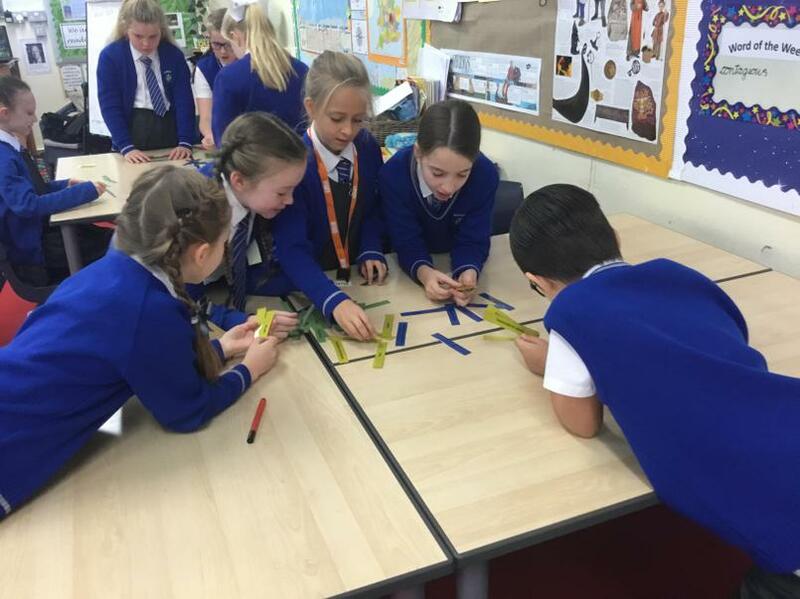 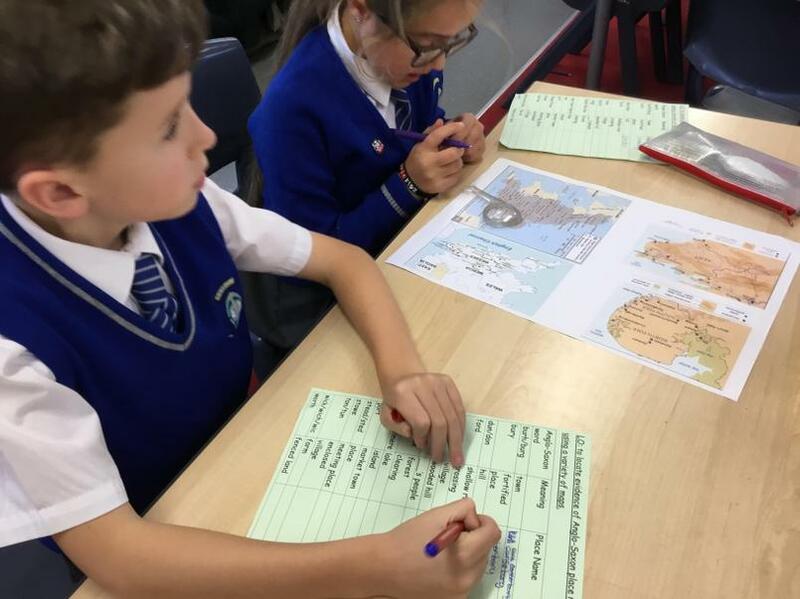 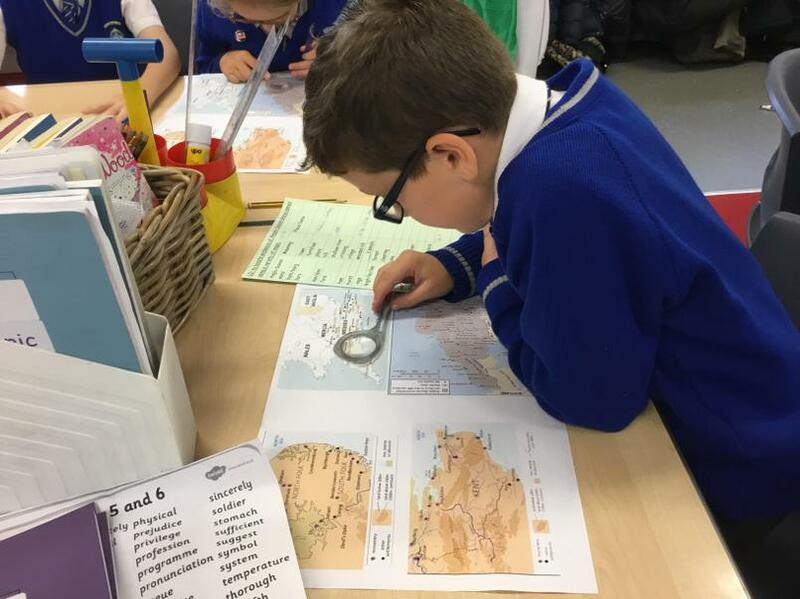 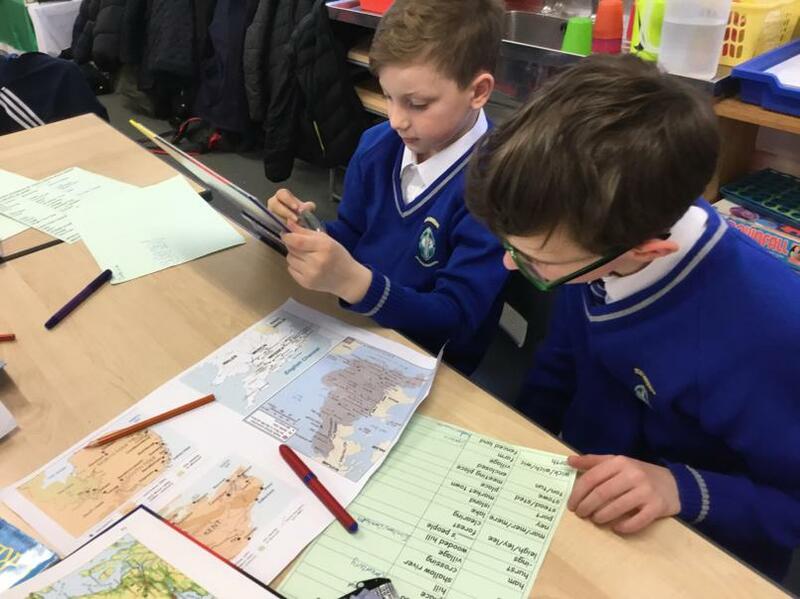 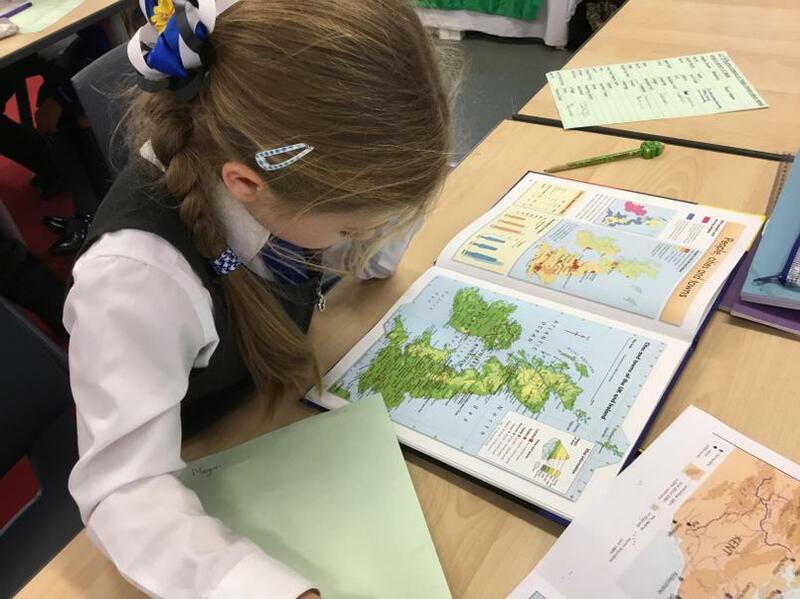 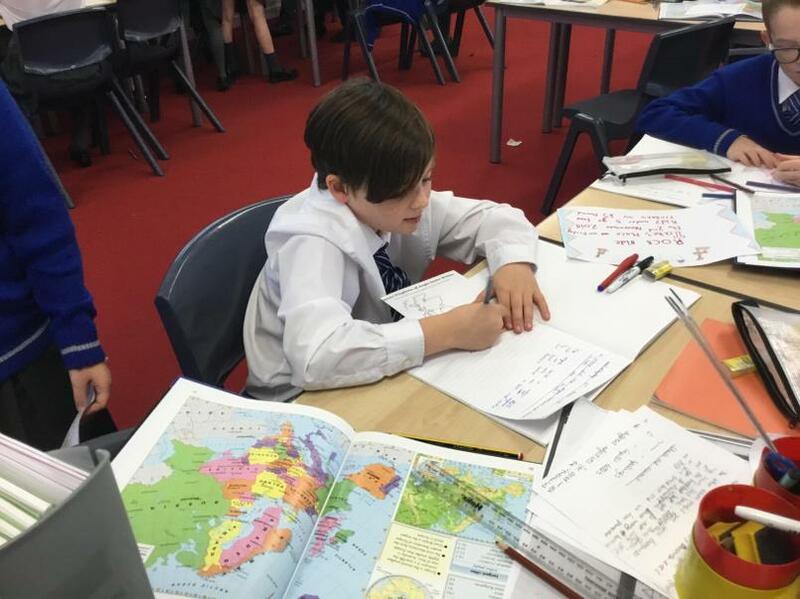 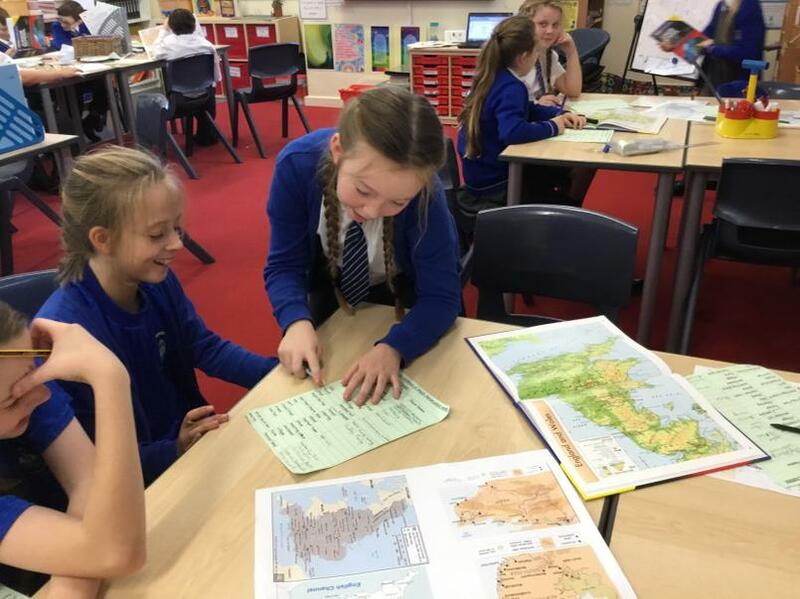 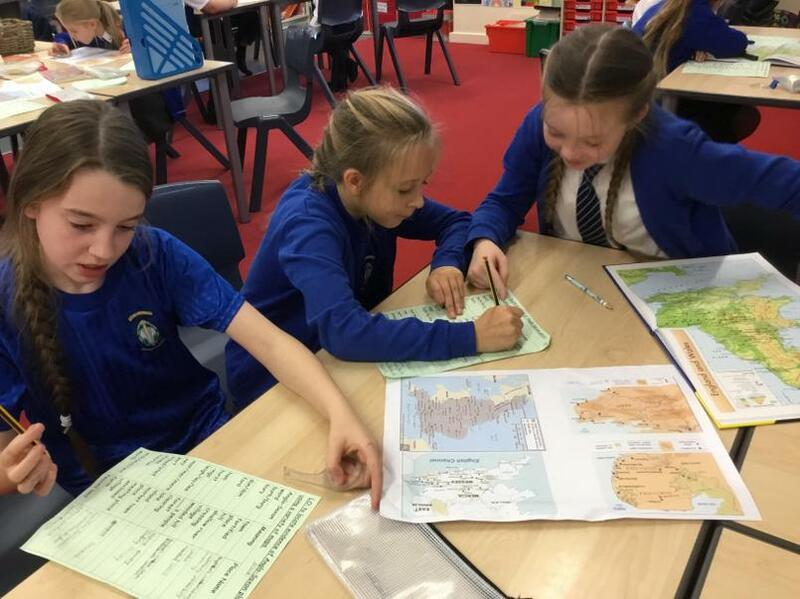 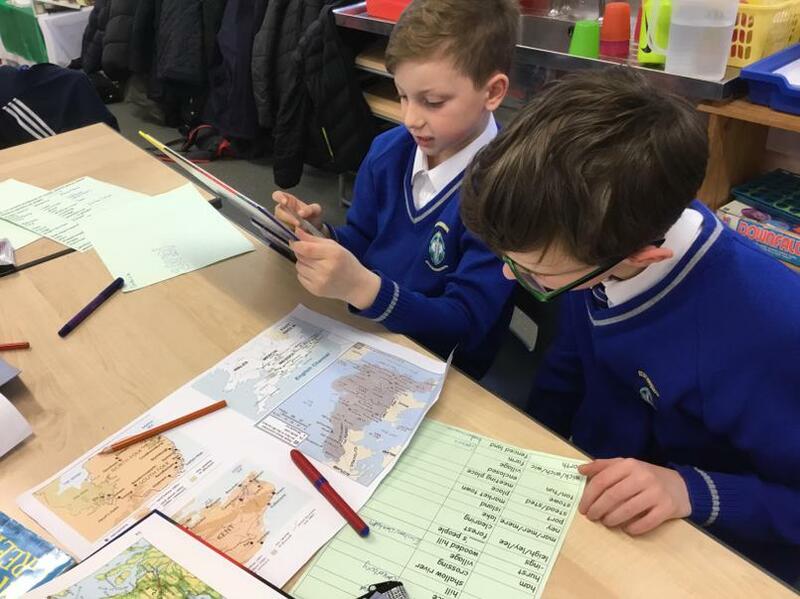 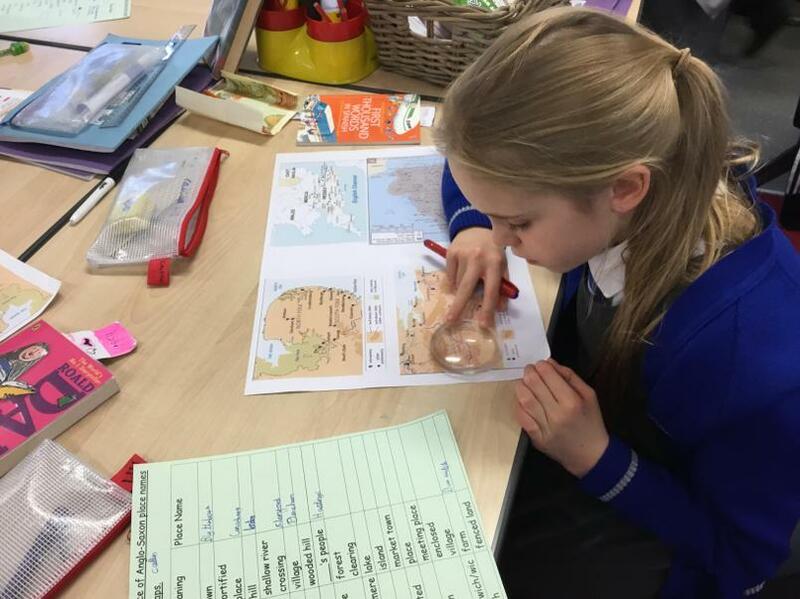 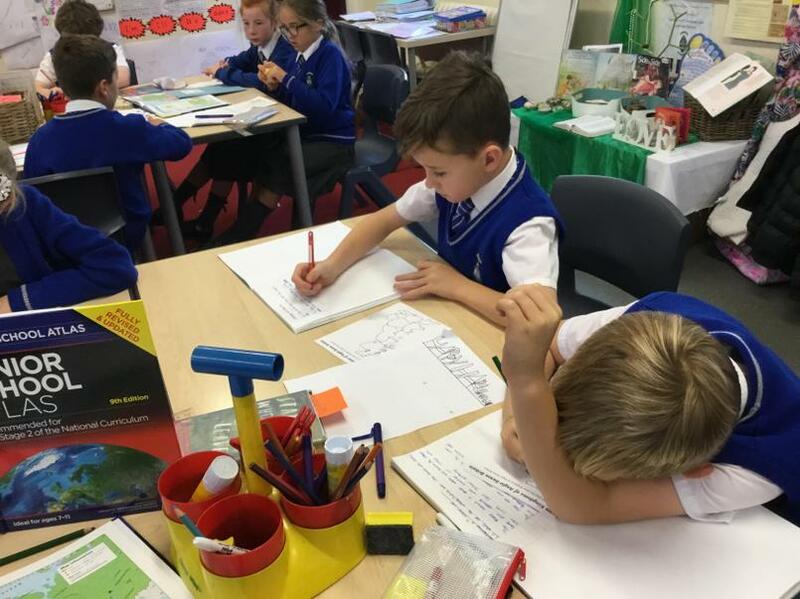 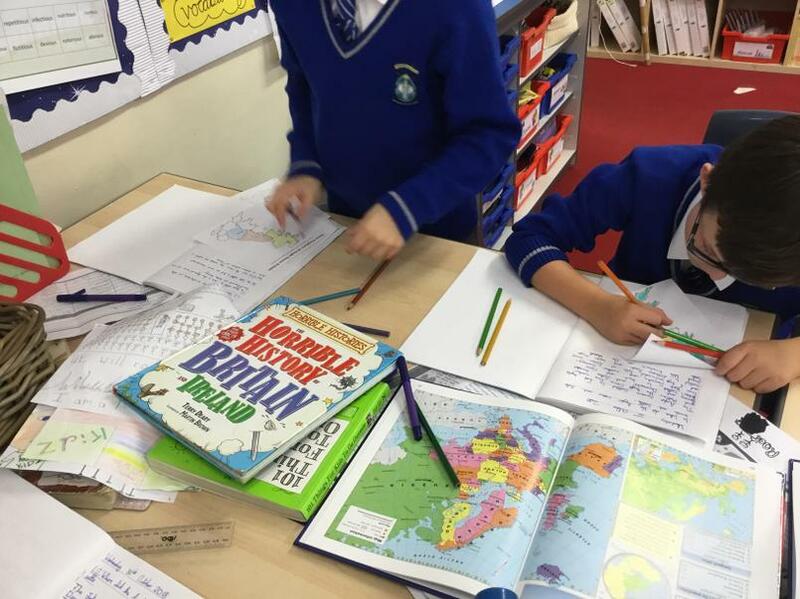 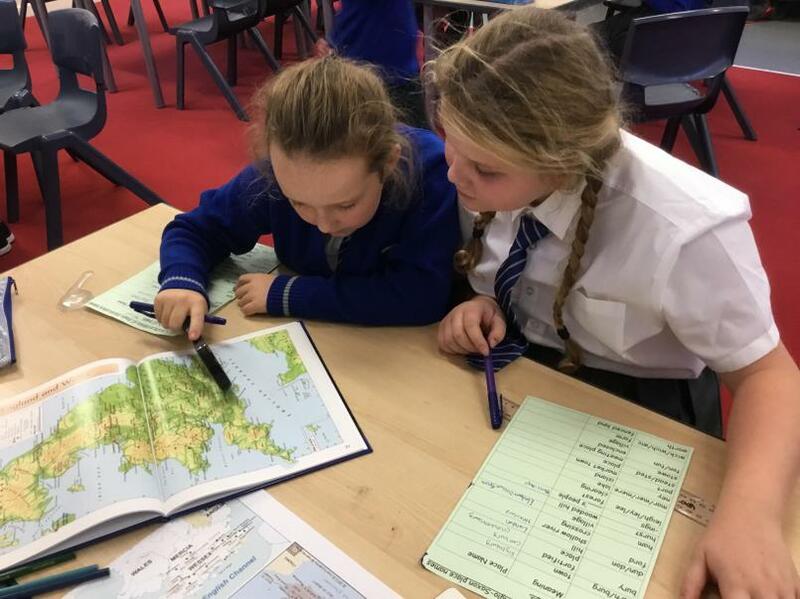 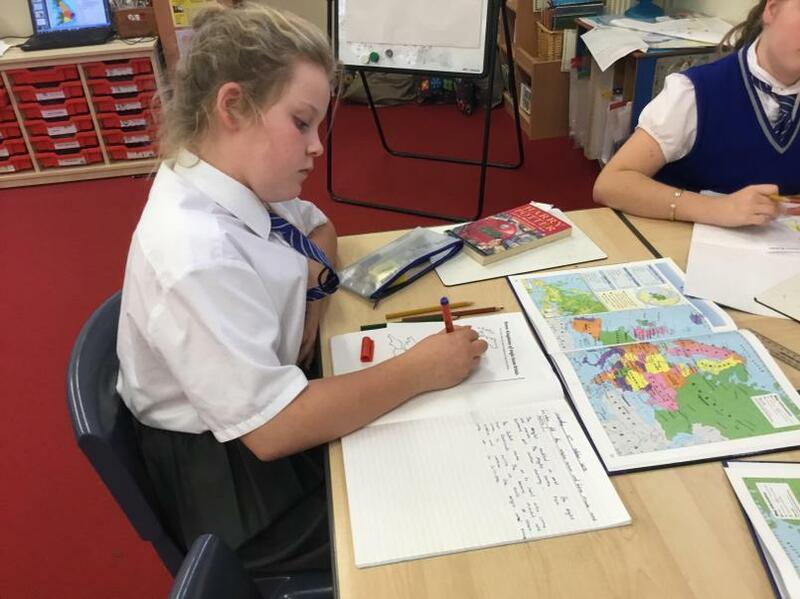 Looking for evidence of Anglo-Saxon settlements in England. 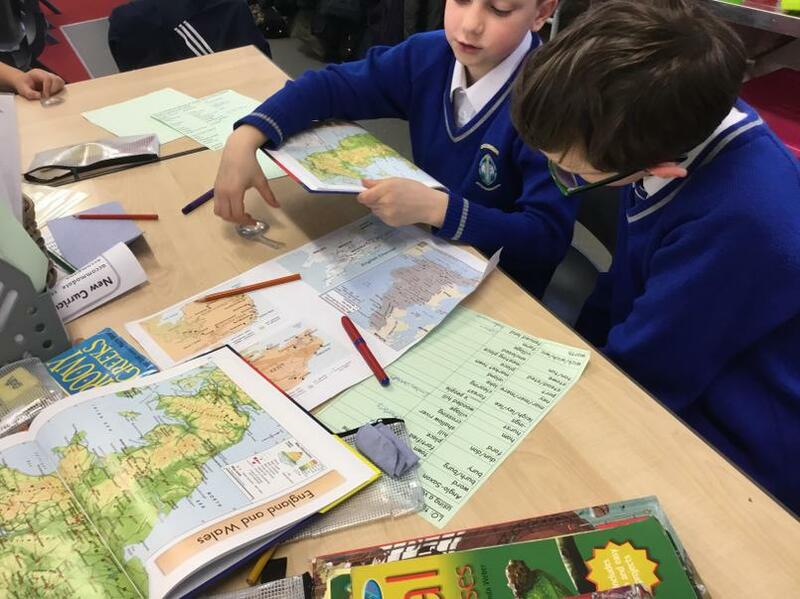 The children searched for place names ending in -ton, -ham, -wich plus many others. 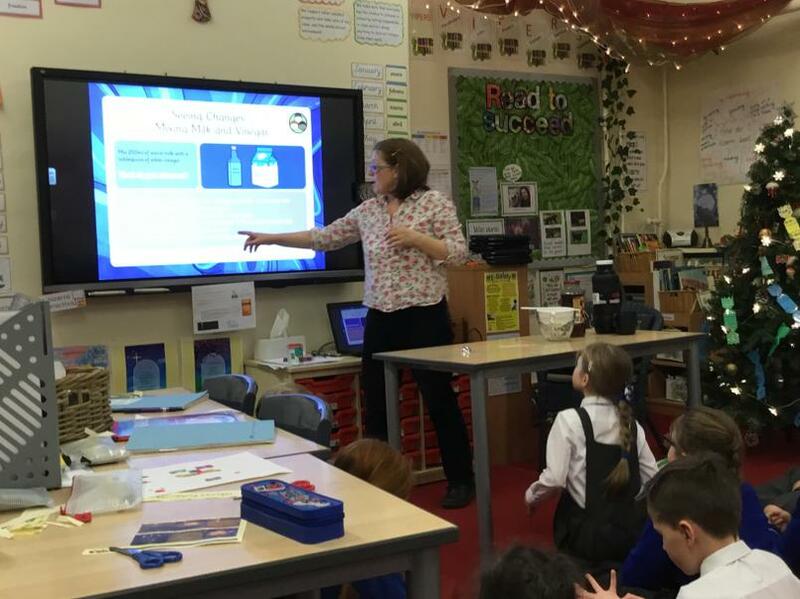 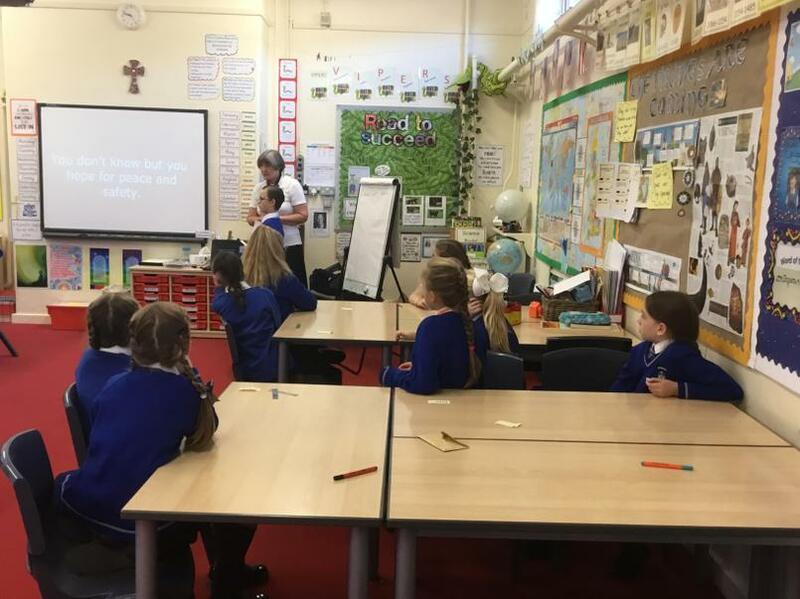 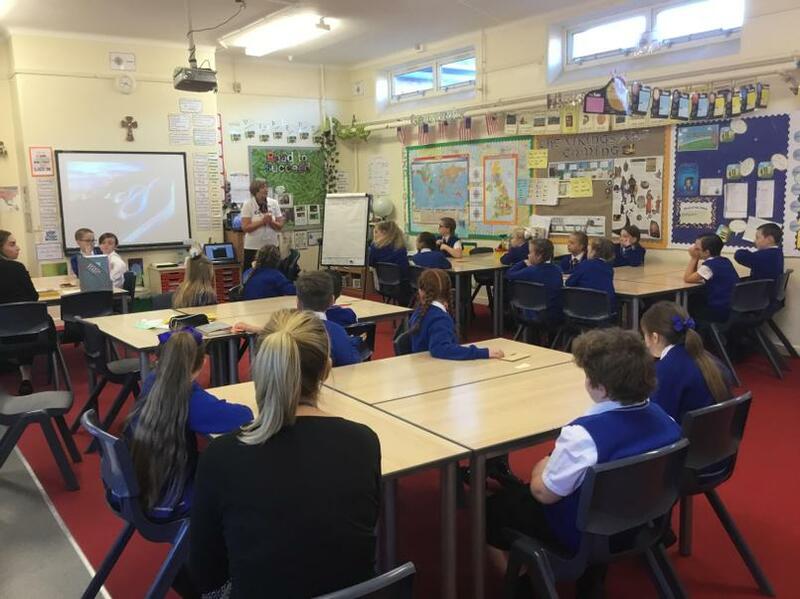 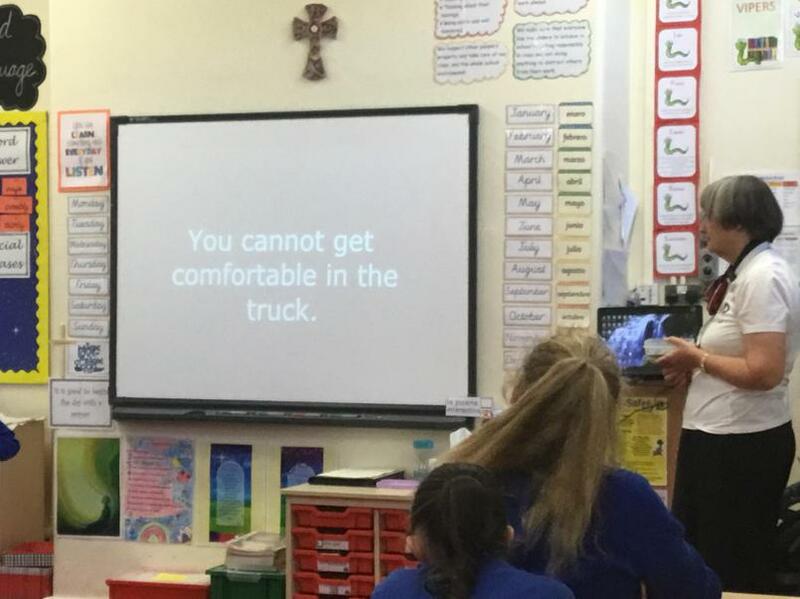 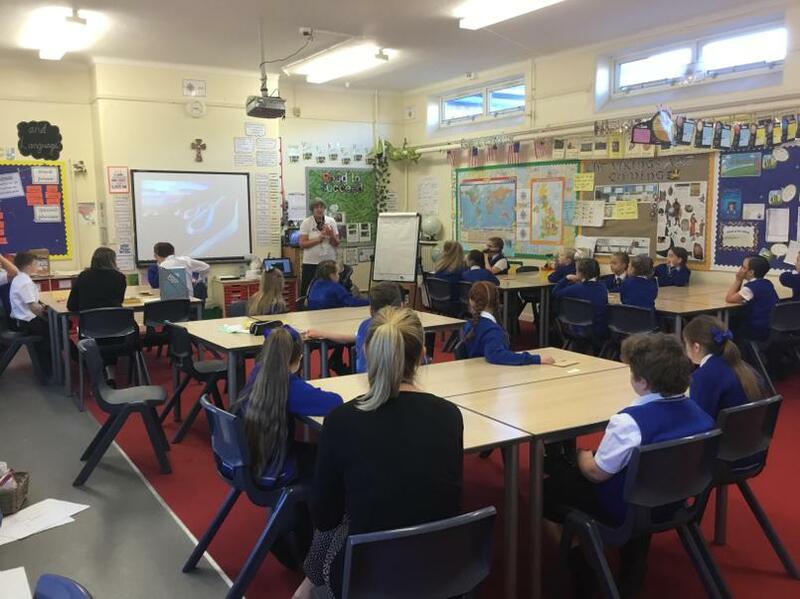 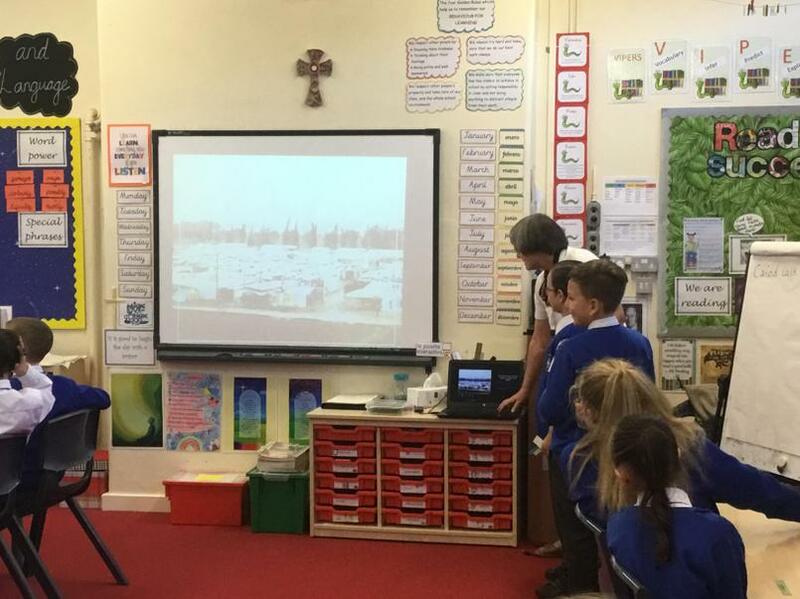 Justine, a volunteer for CAFOD, spoke with the children today about the plight of refugees in the world. 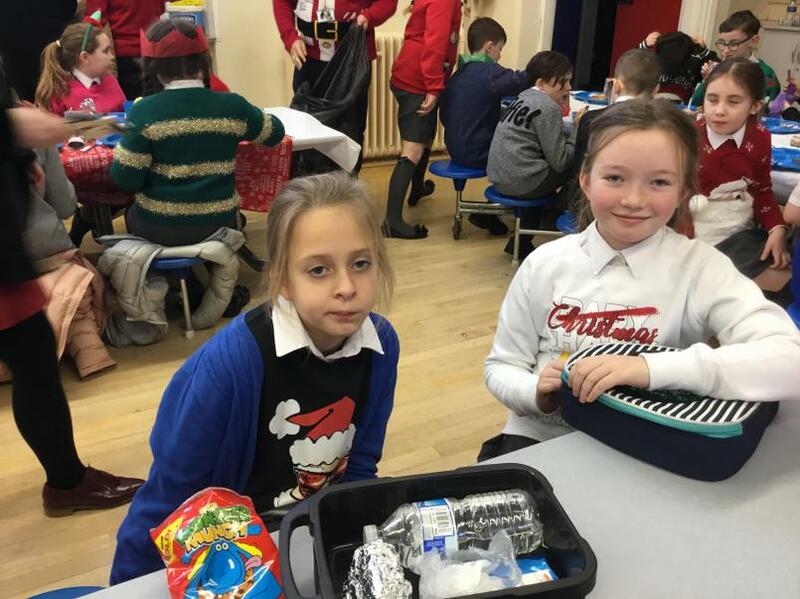 They had to imagine they had to leave their homes quickly with only the items they could carry. 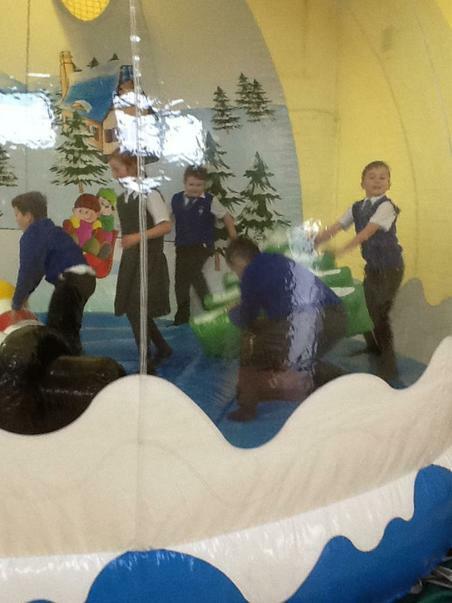 But as they travelled they had to make tough decisions and some items were lost or damaged. 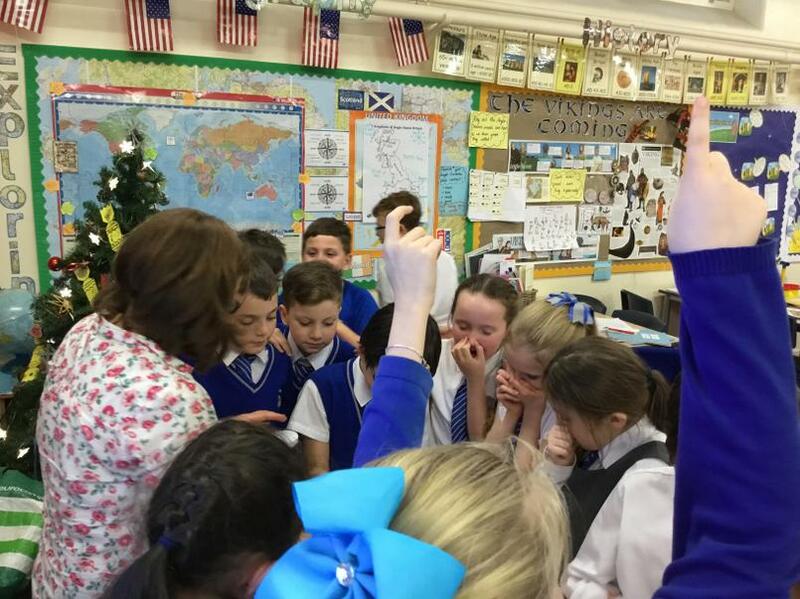 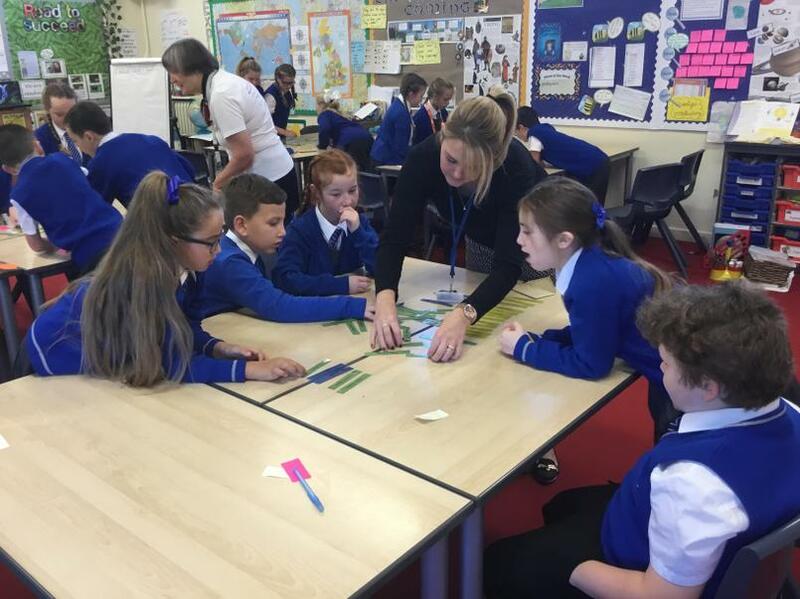 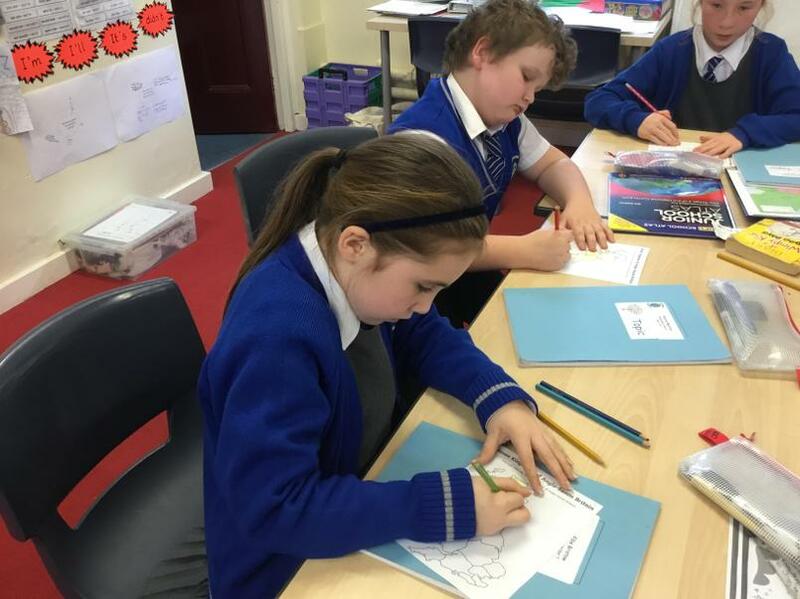 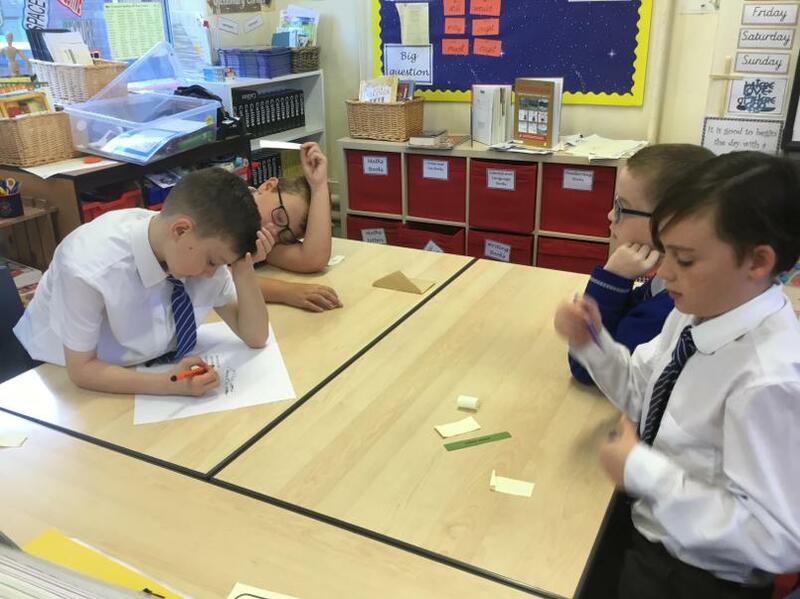 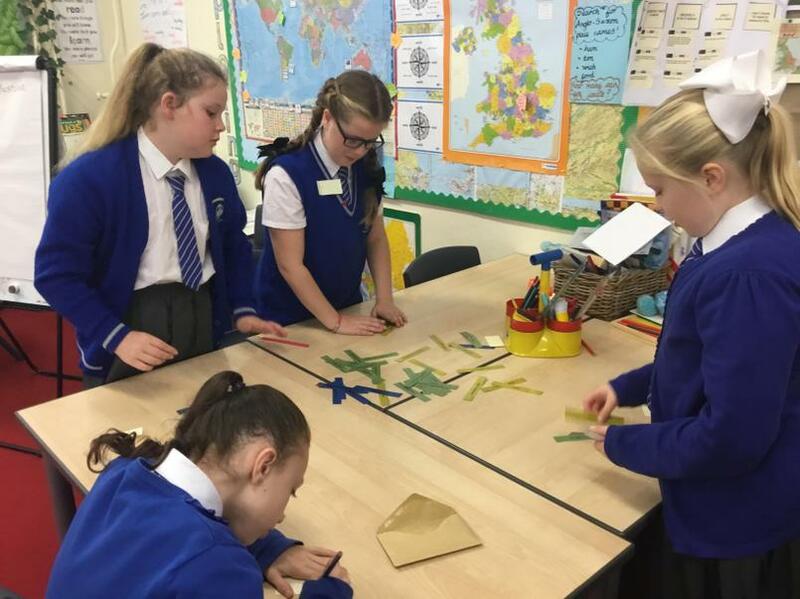 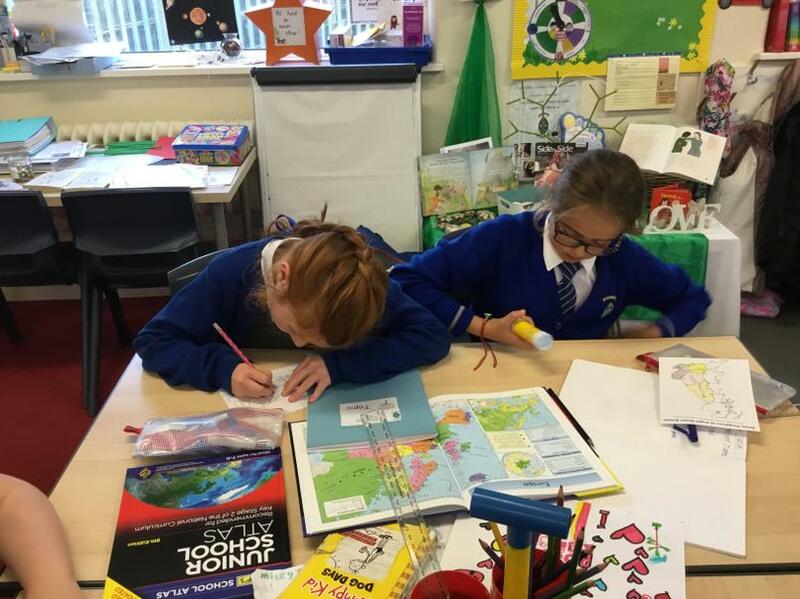 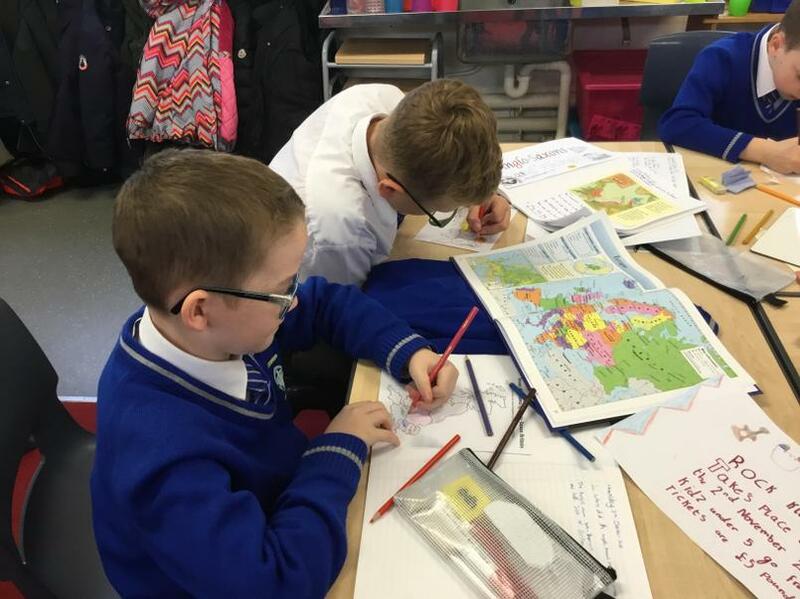 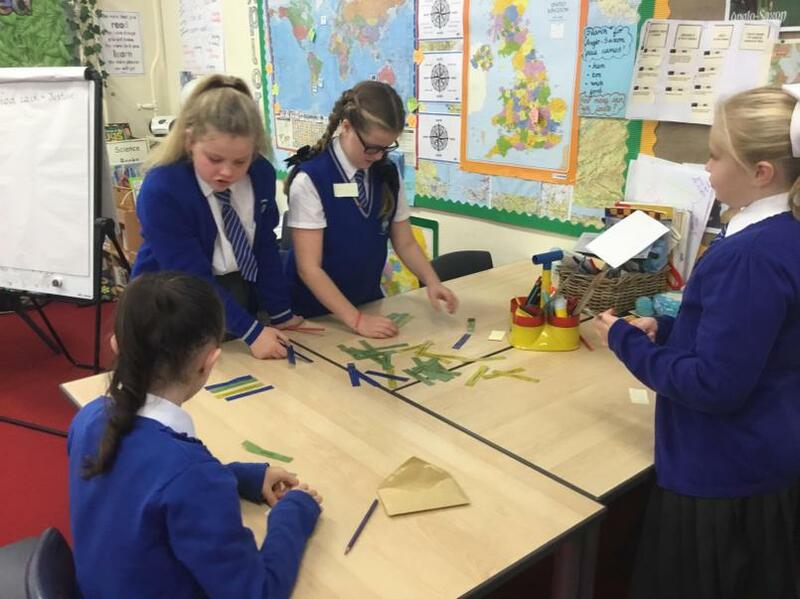 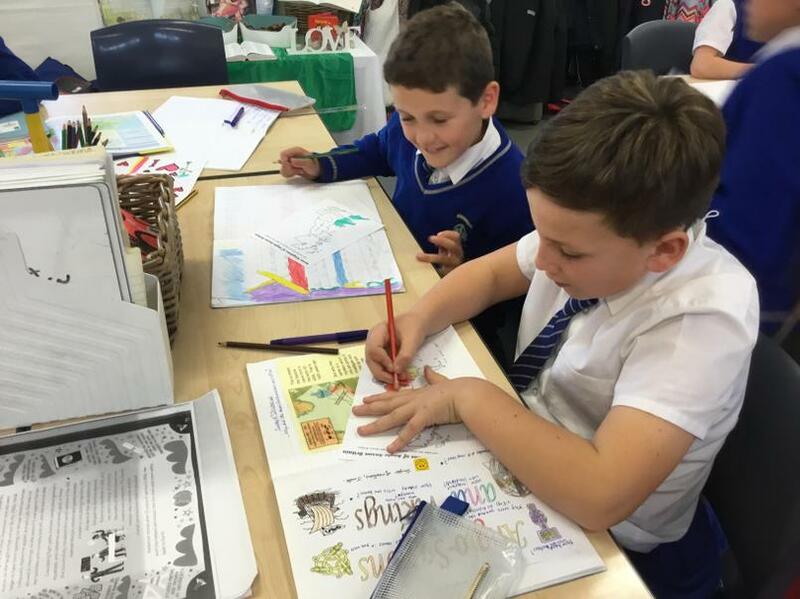 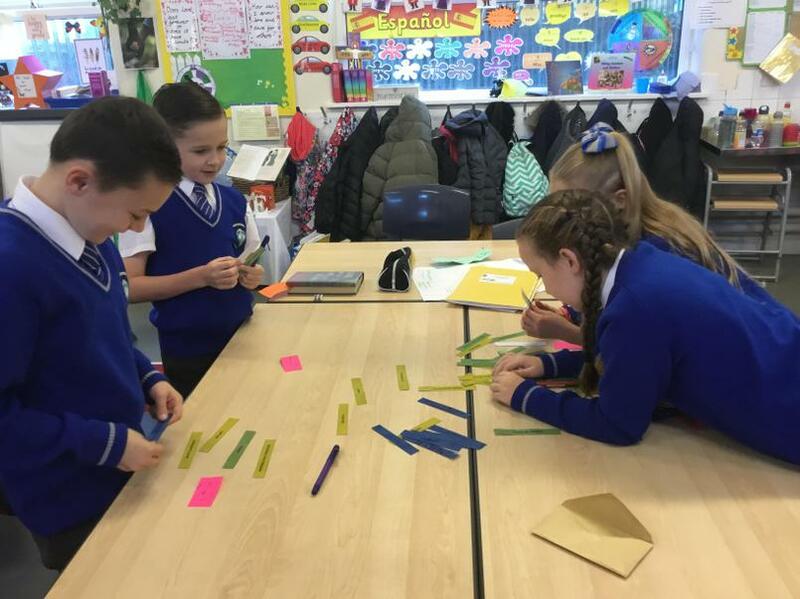 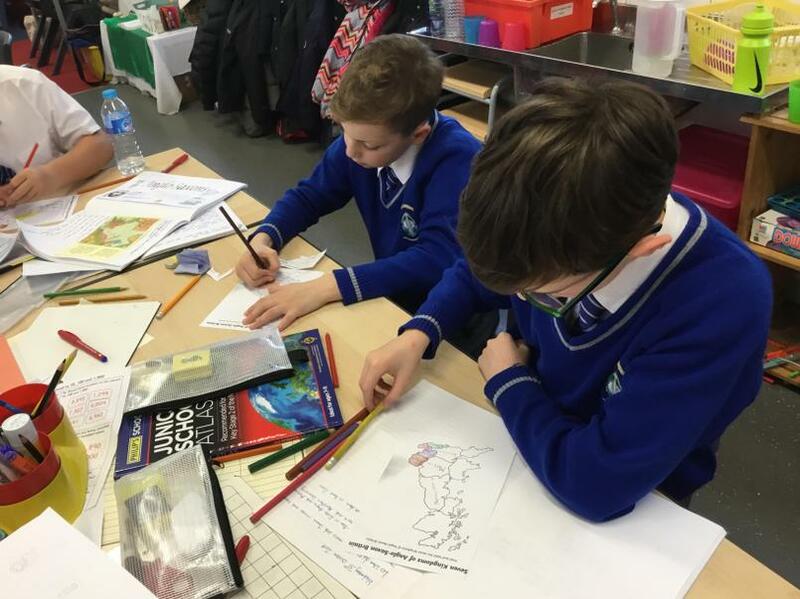 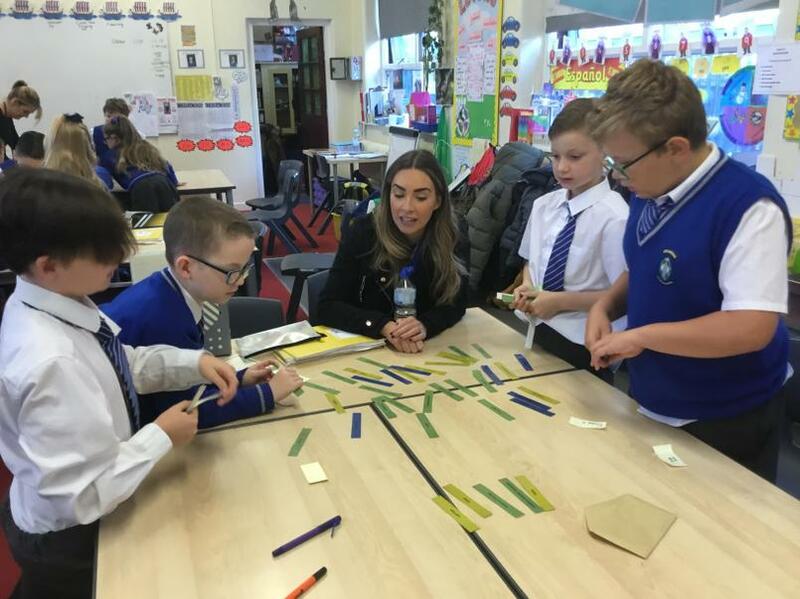 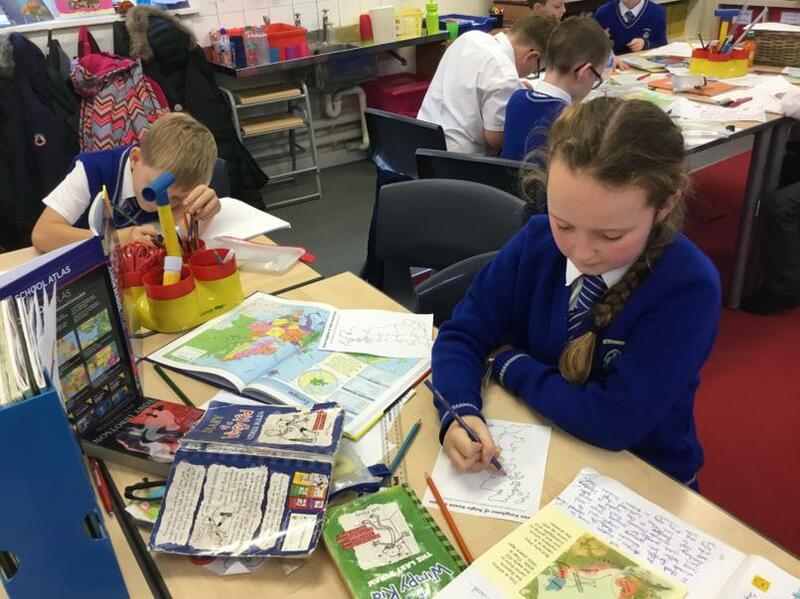 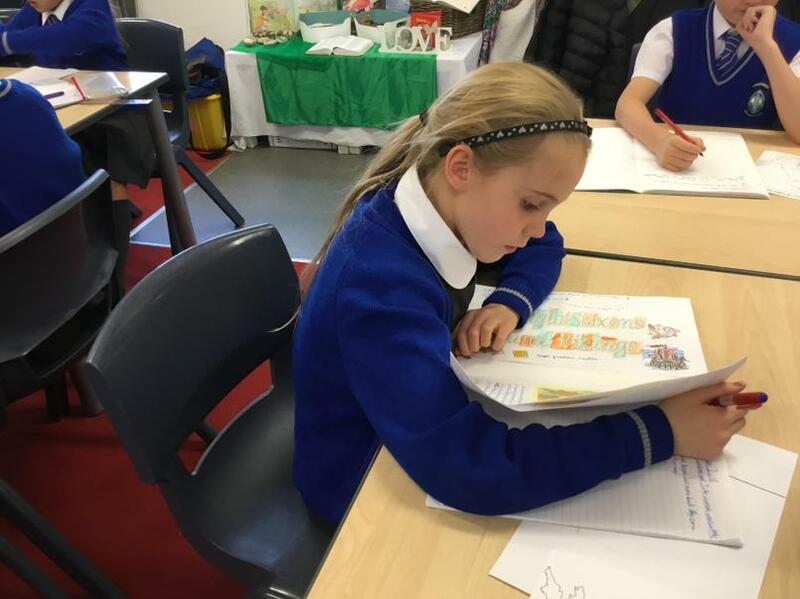 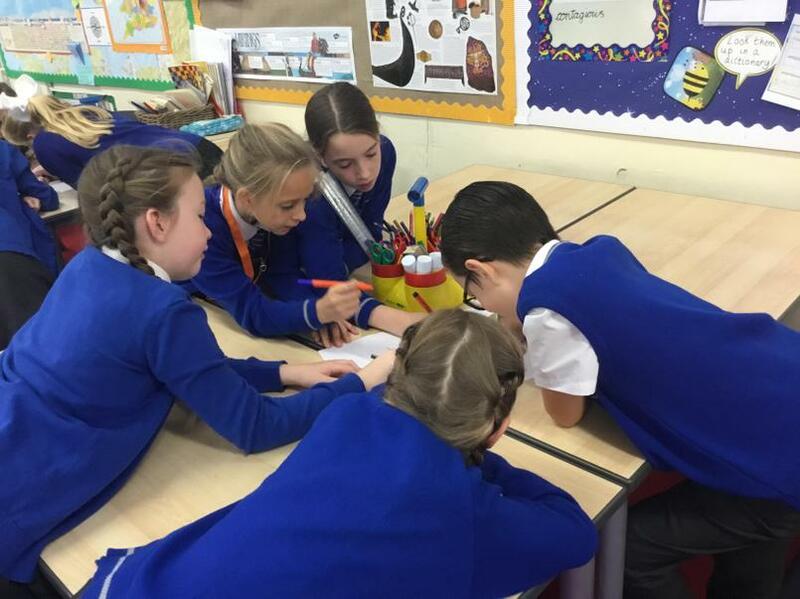 The children worked well together and soon realised that refugees had difficult lives.